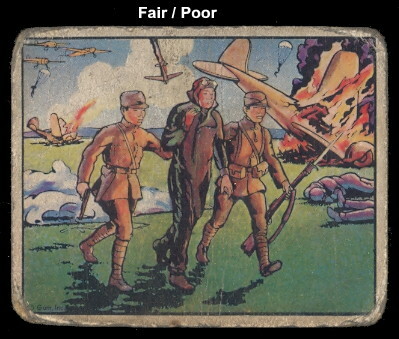 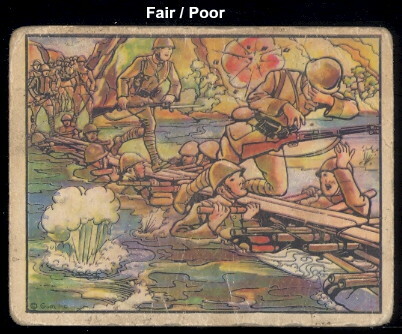 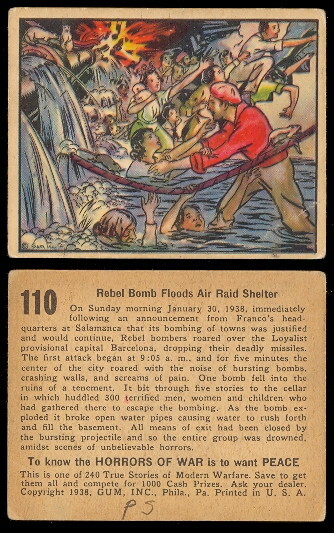 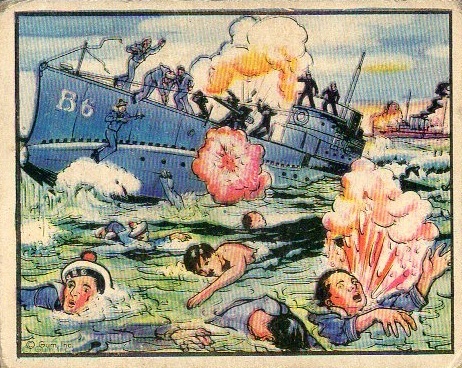 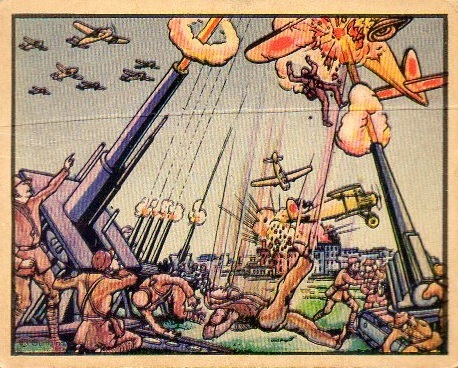 The 1938 Gum Inc. Horrors of War (R69) is one of the most famous and controversial of all non-sports issues. 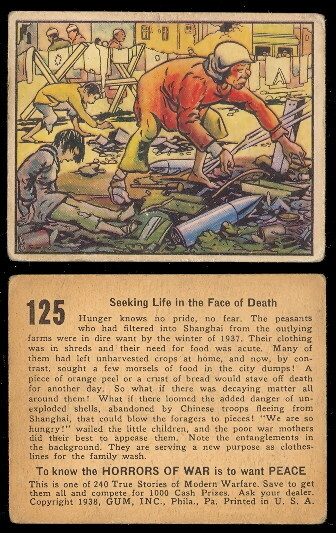 This set contains 288 cards. 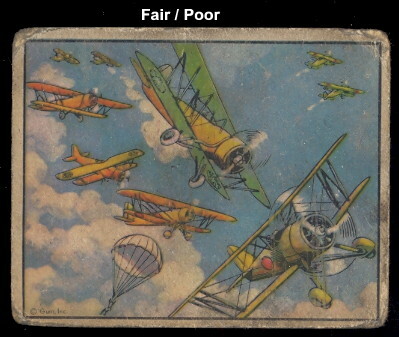 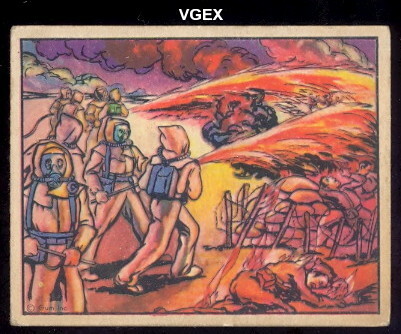 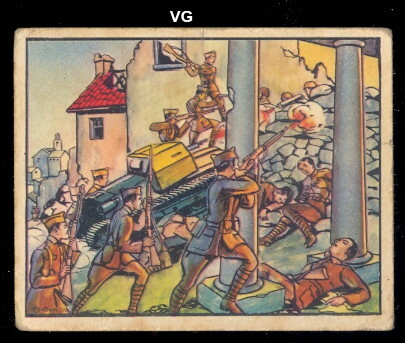 The original set has 240 cards and the last 48 cards were issued later and are rarer. 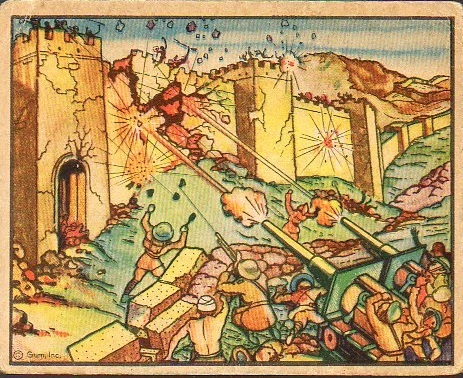 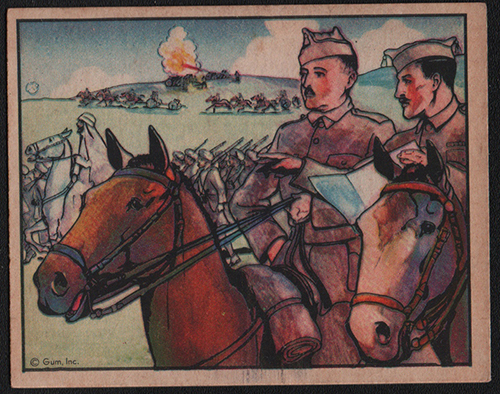 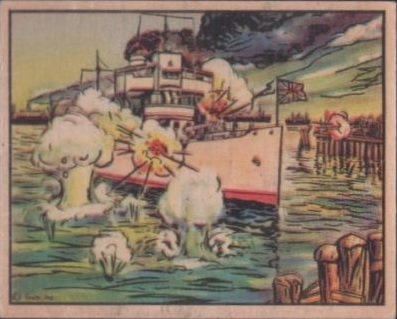 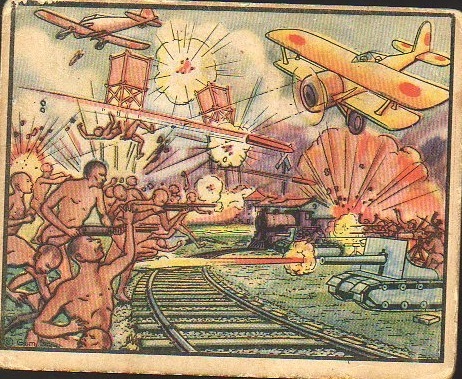 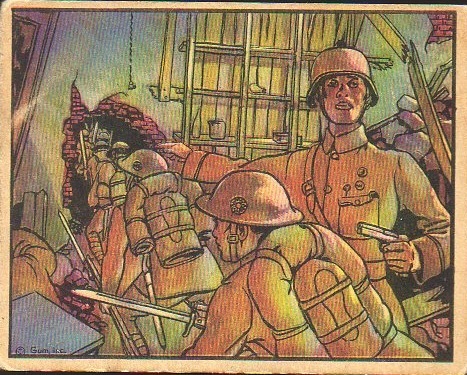 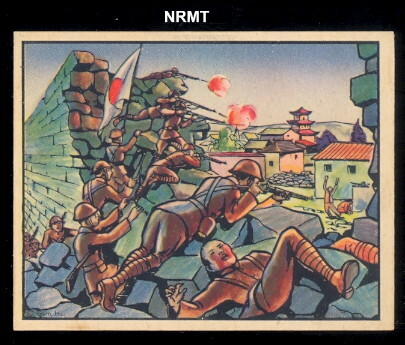 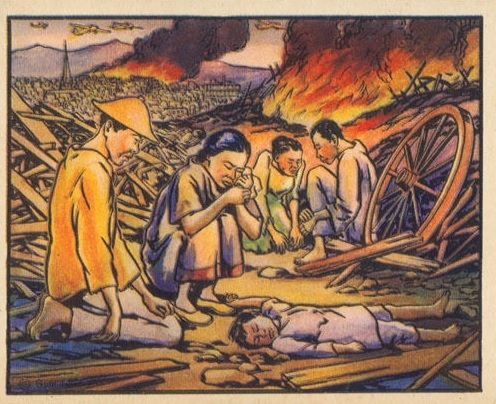 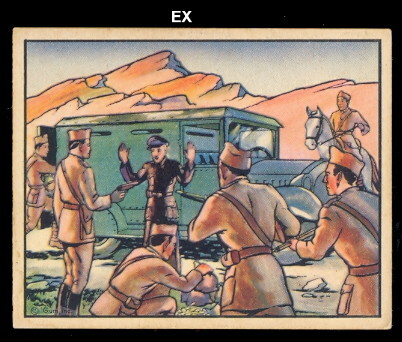 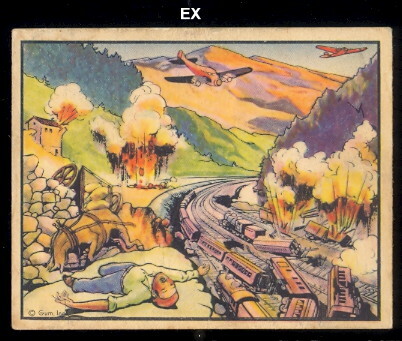 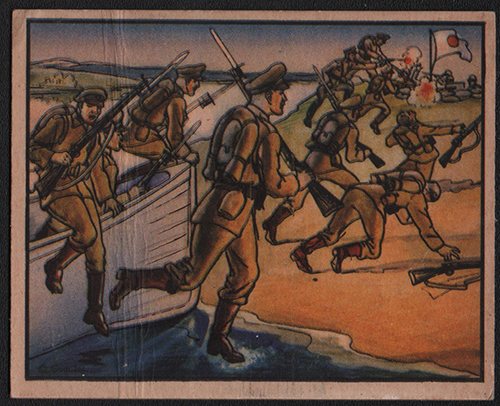 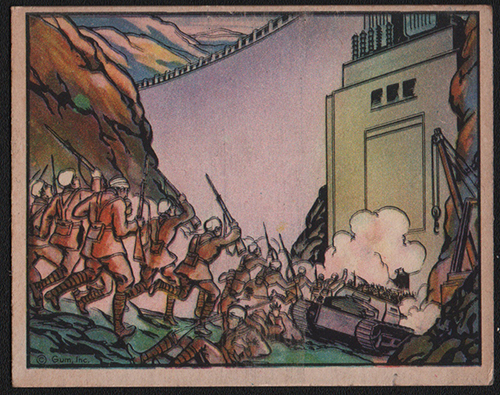 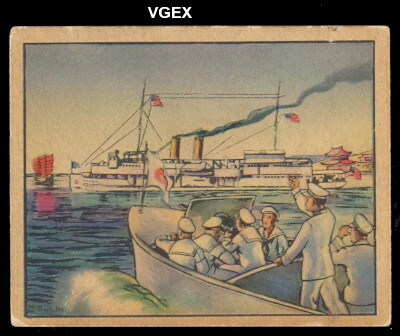 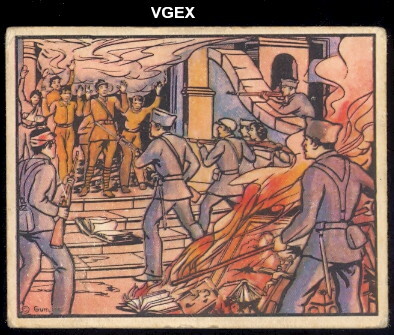 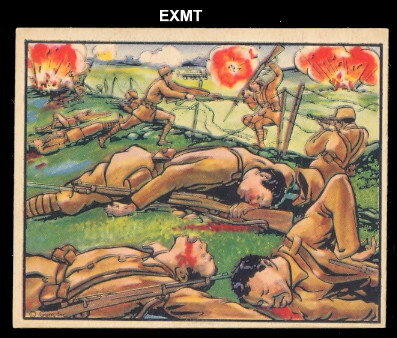 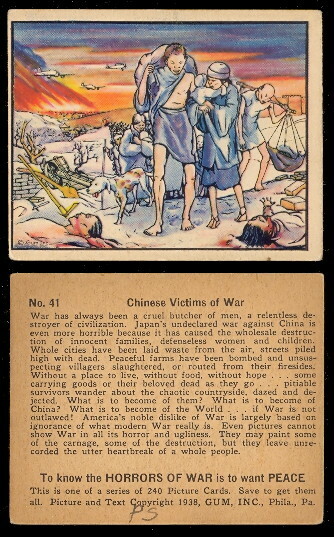 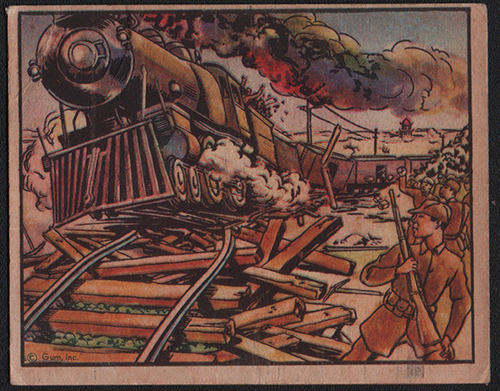 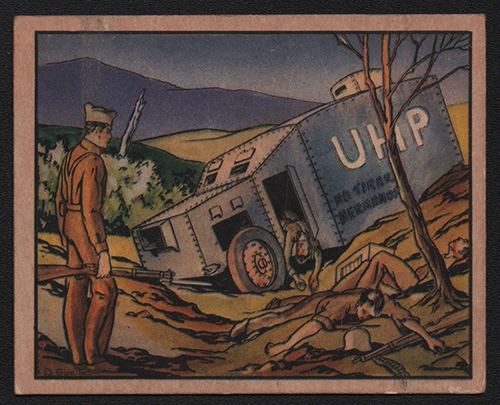 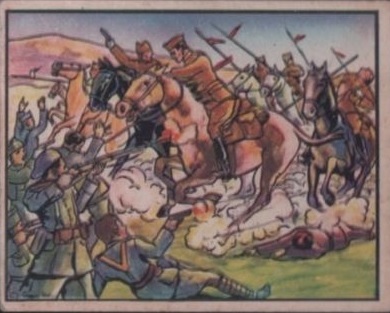 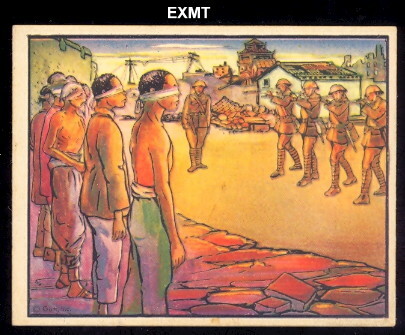 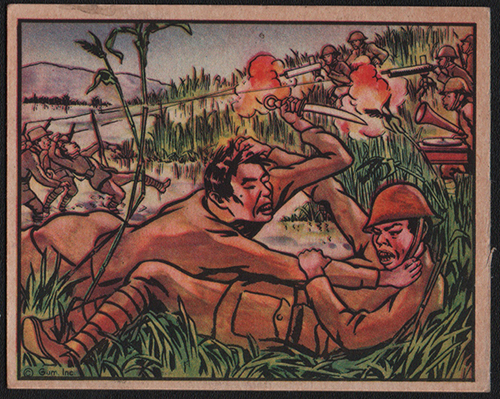 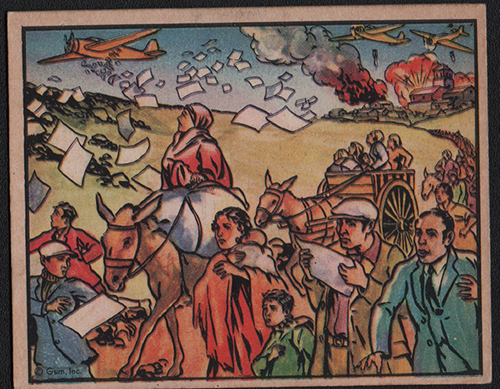 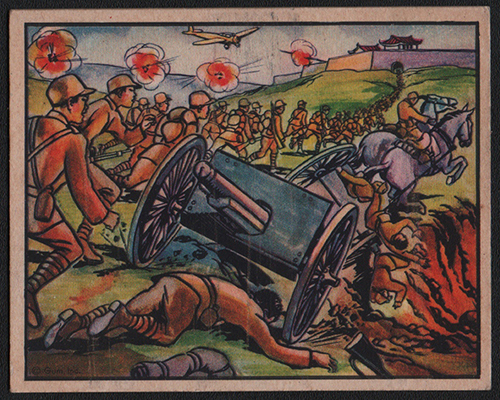 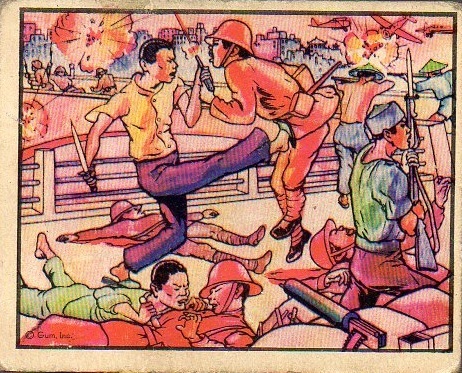 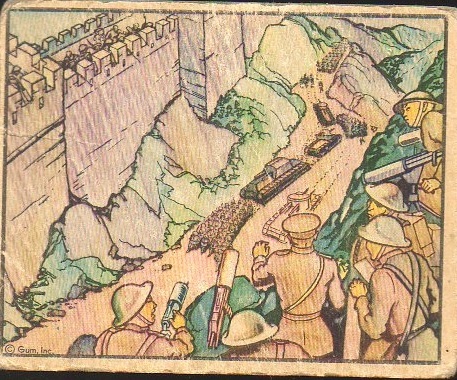 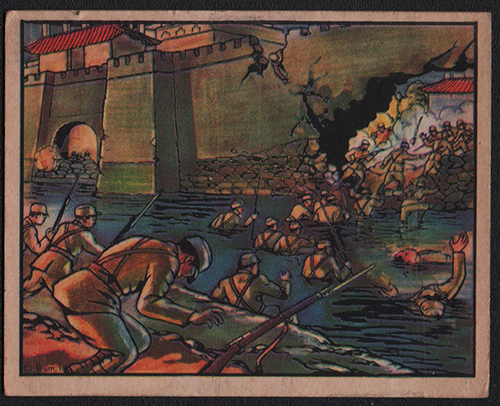 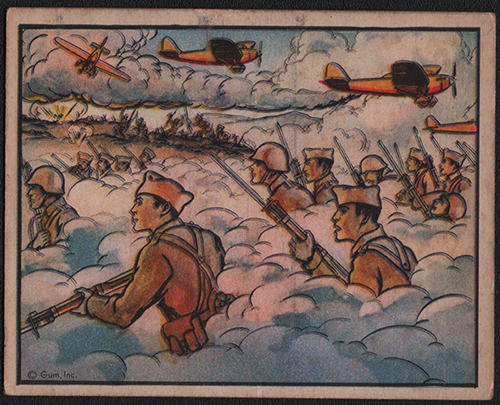 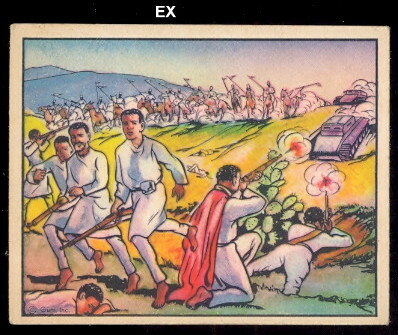 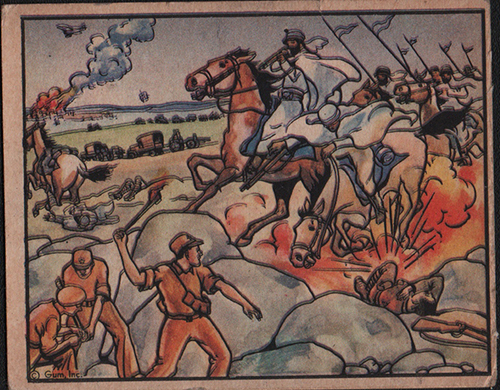 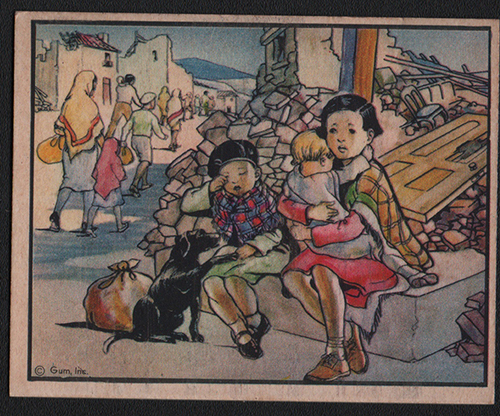 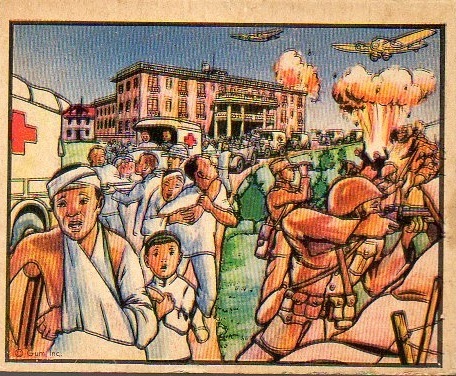 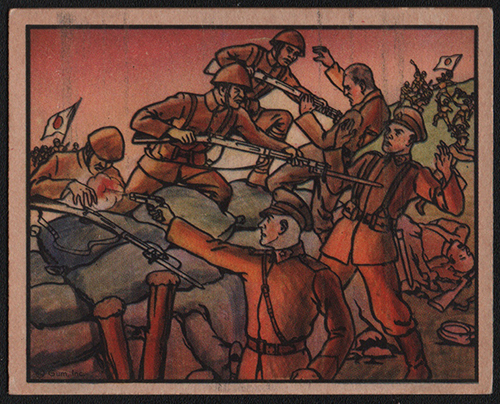 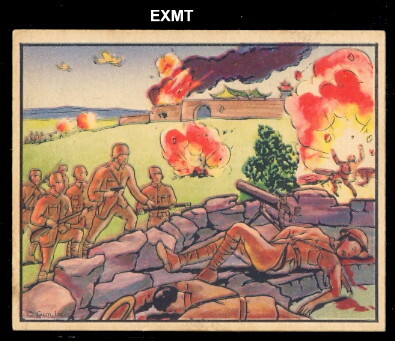 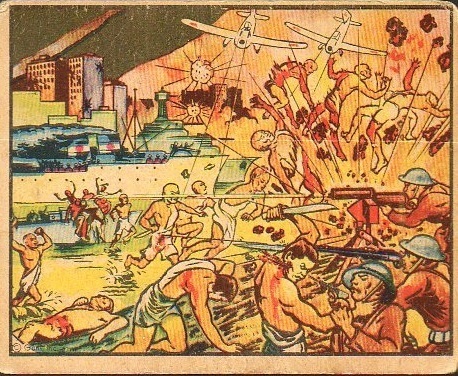 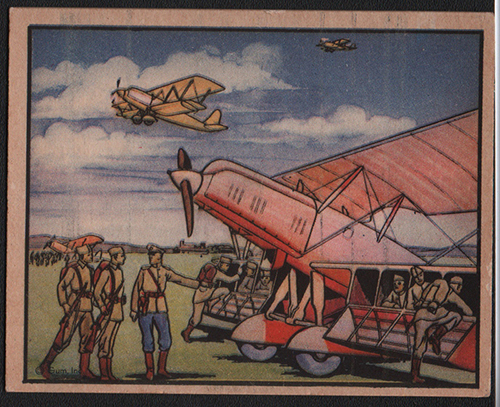 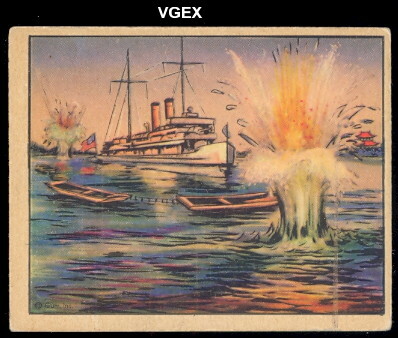 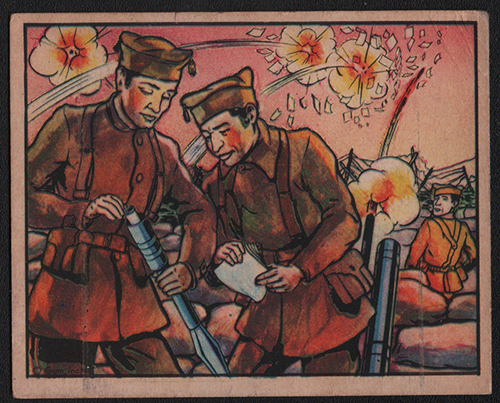 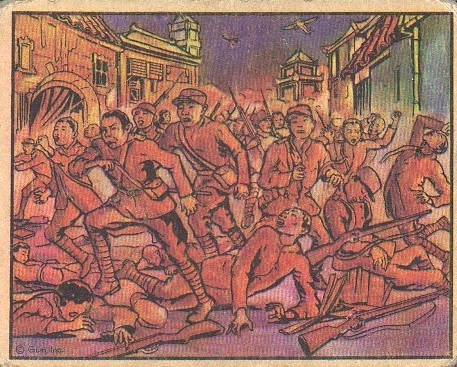 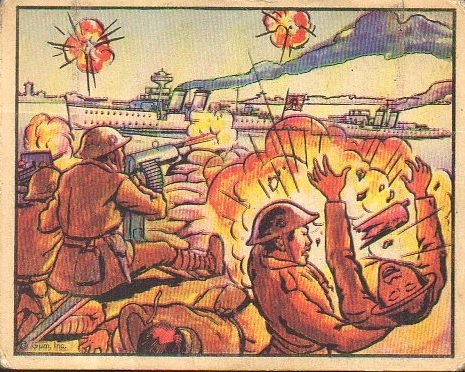 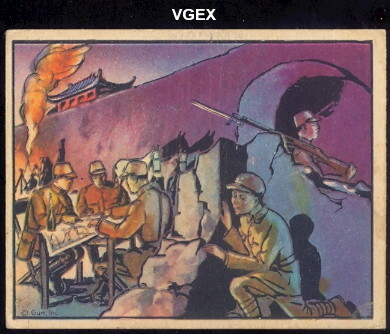 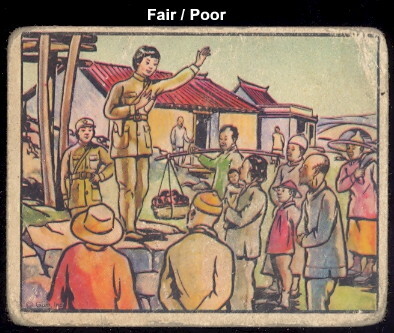 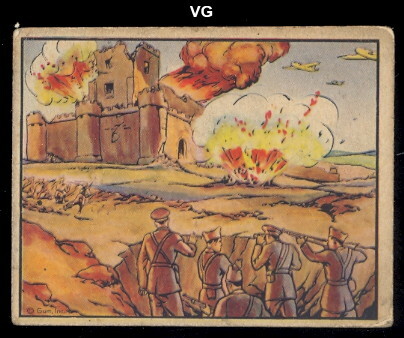 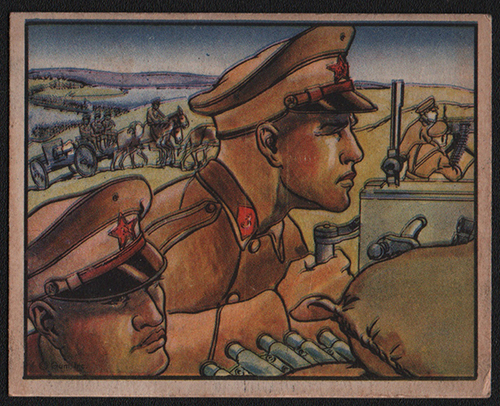 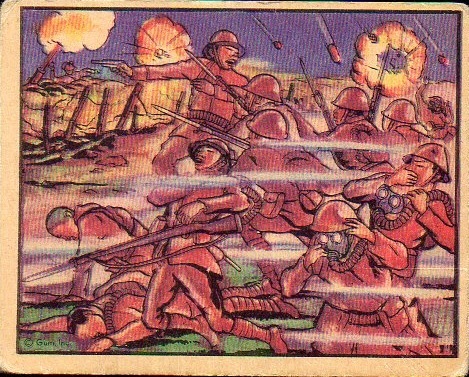 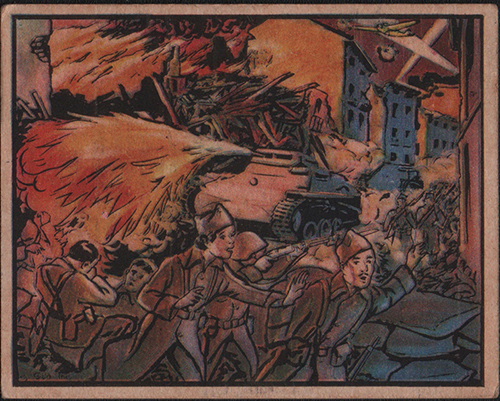 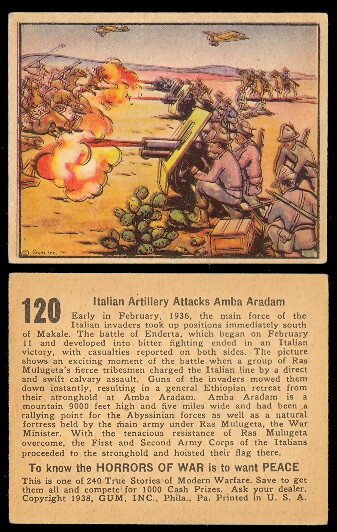 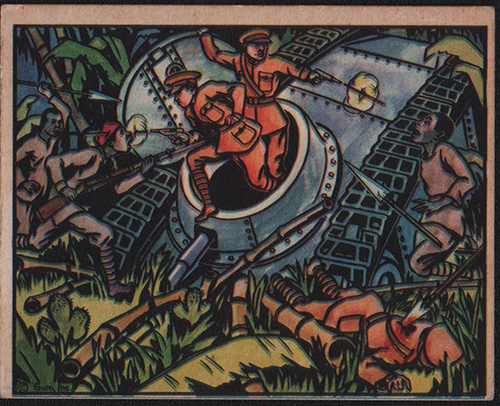 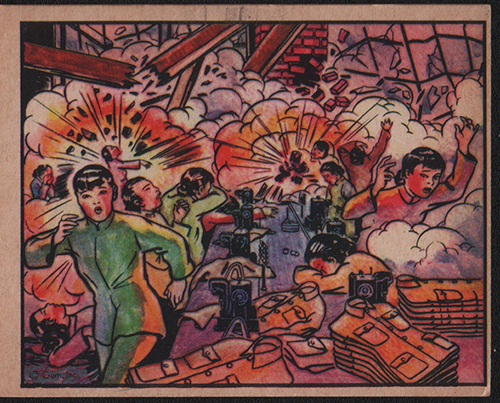 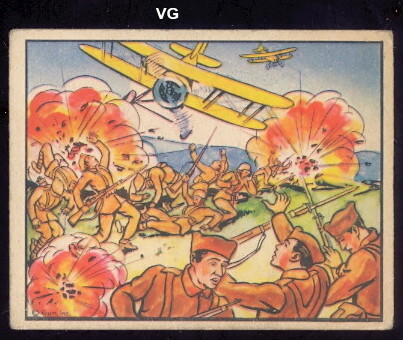 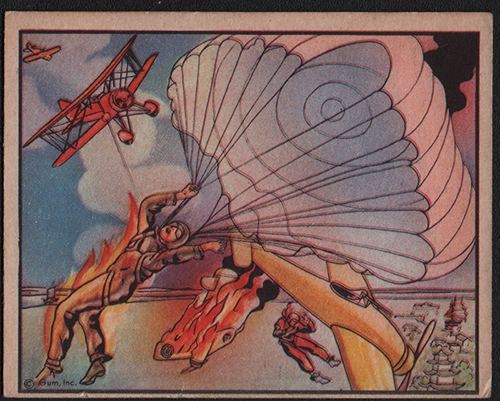 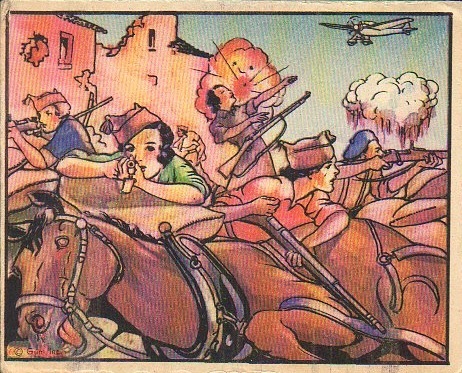 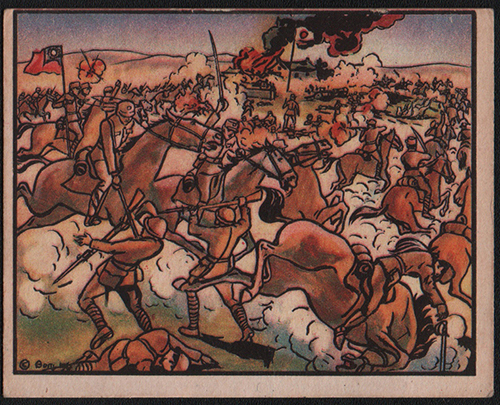 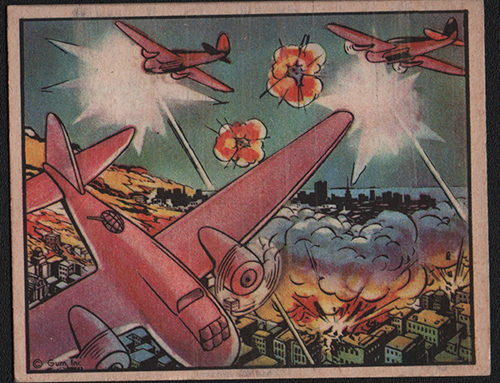 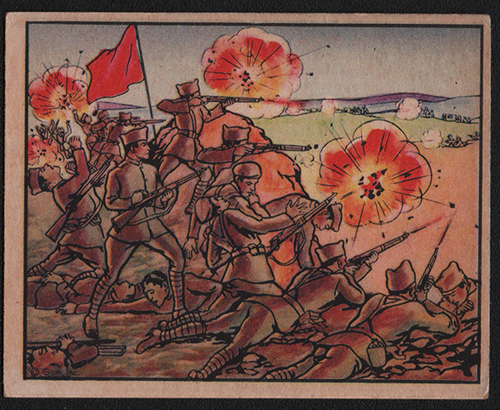 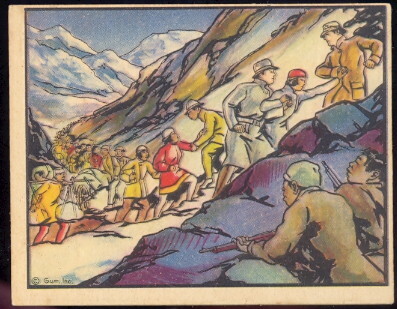 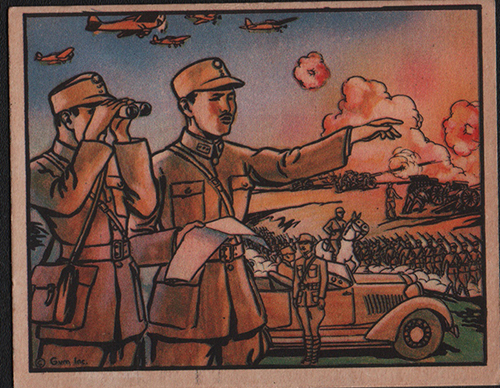 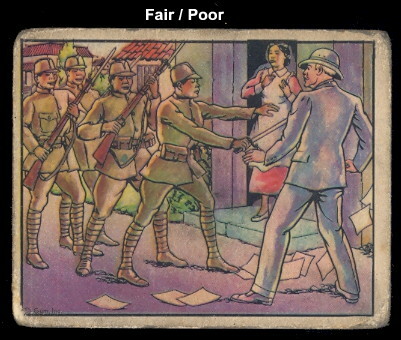 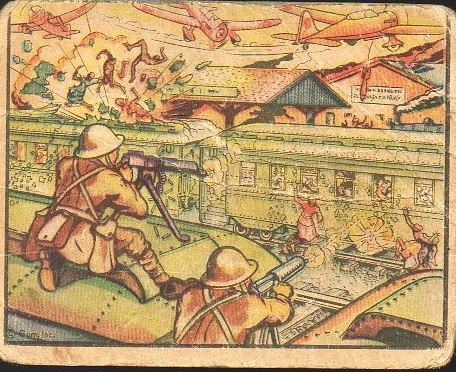 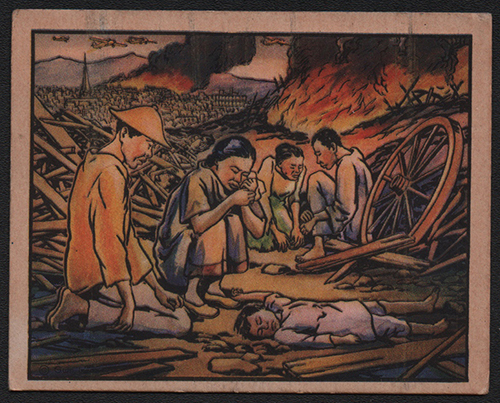 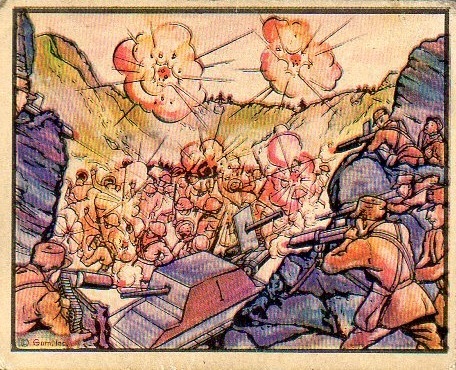 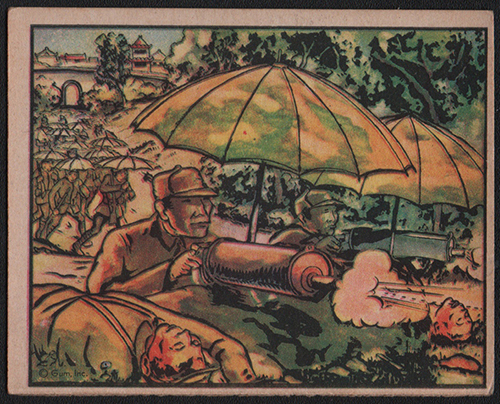 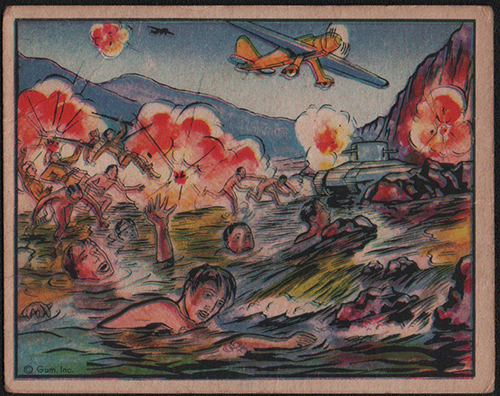 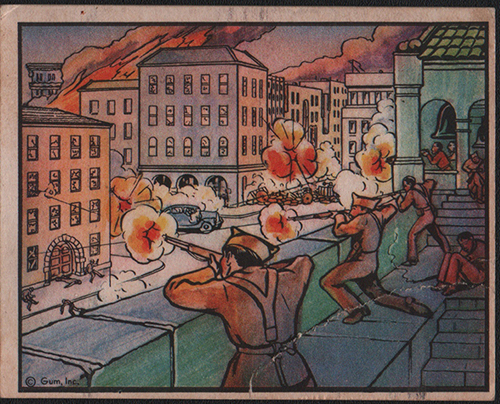 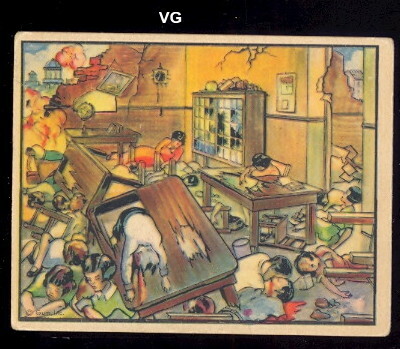 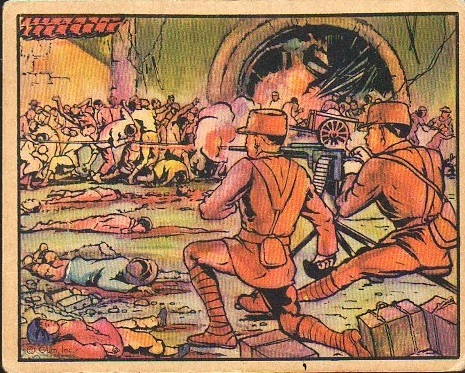 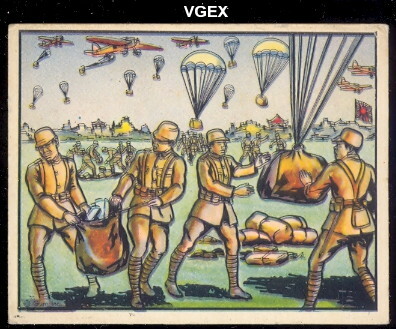 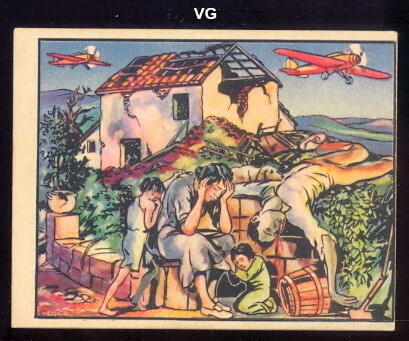 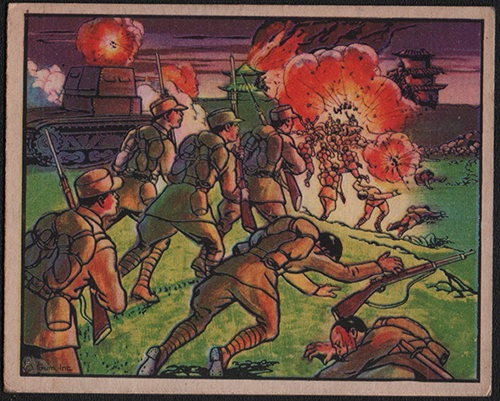 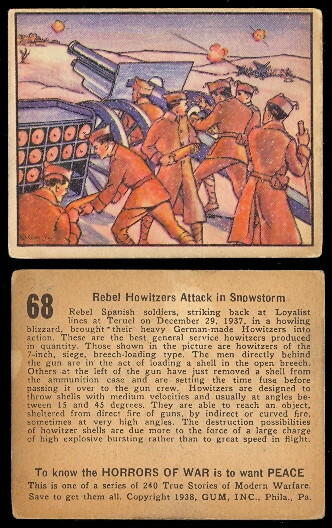 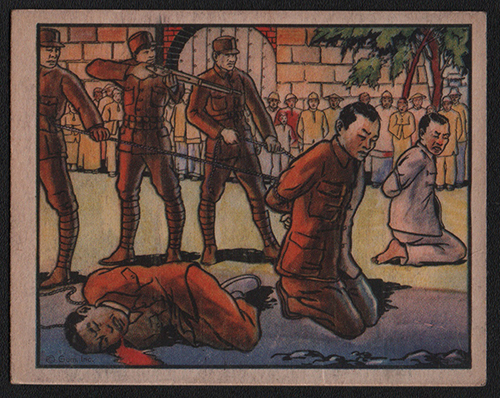 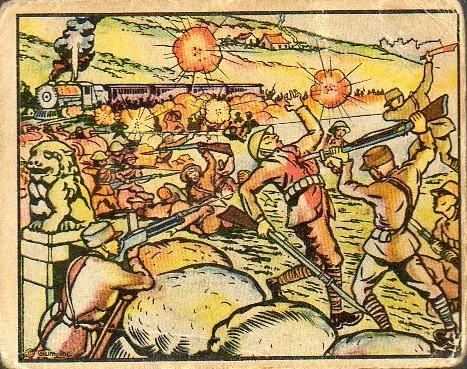 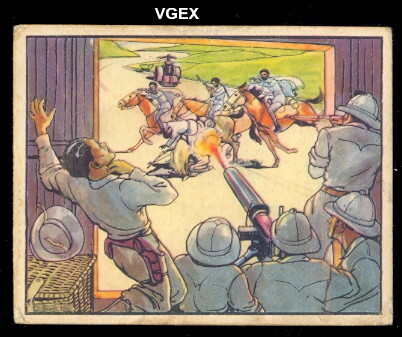 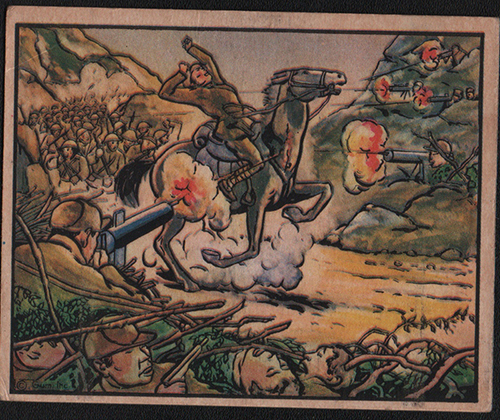 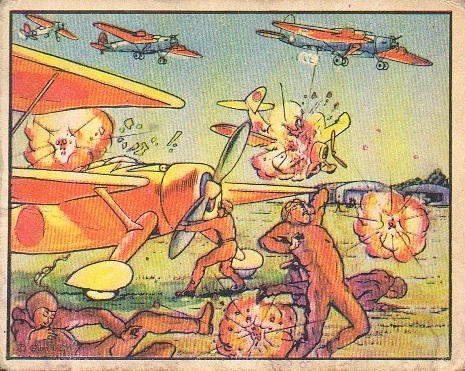 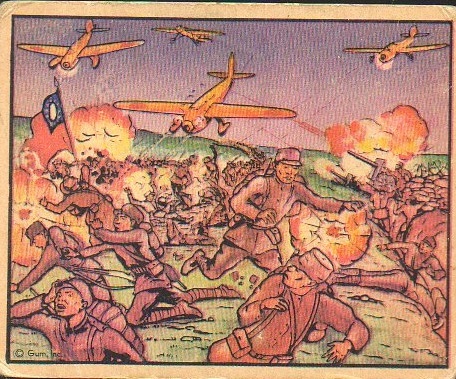 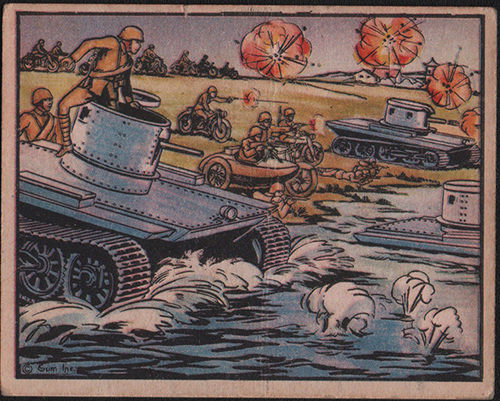 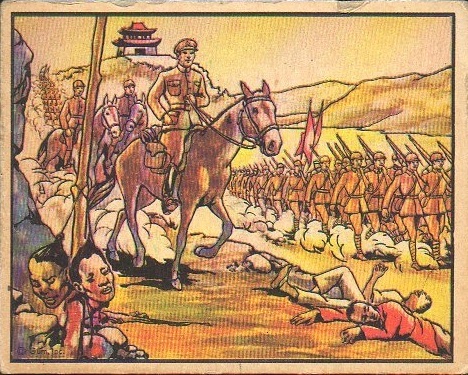 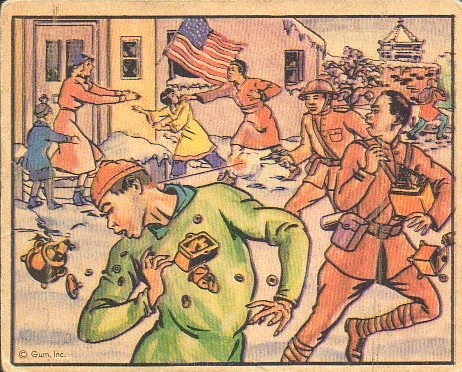 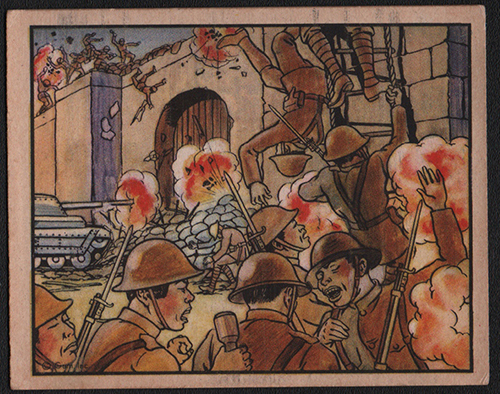 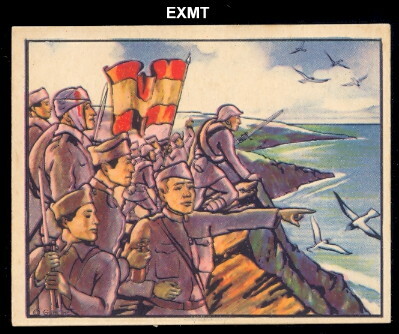 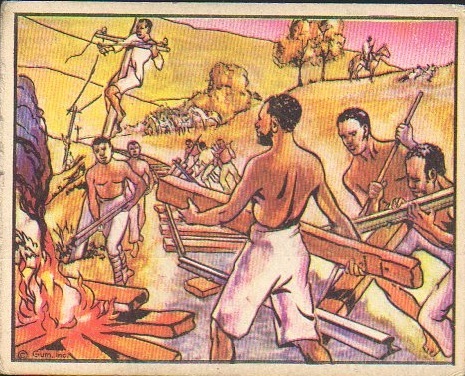 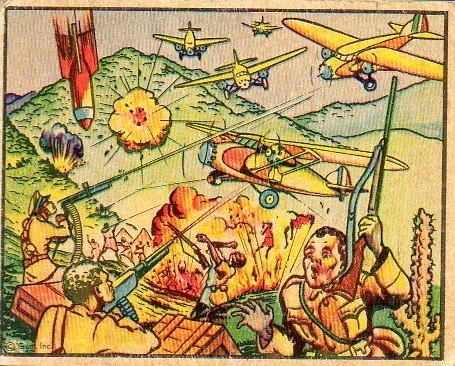 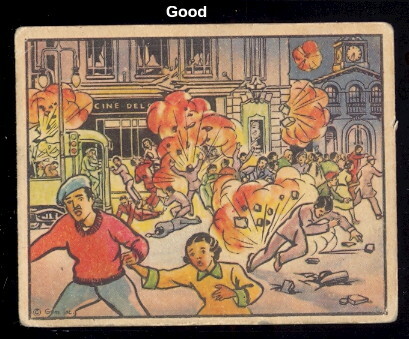 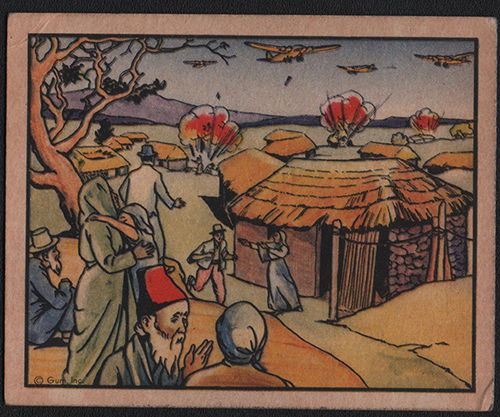 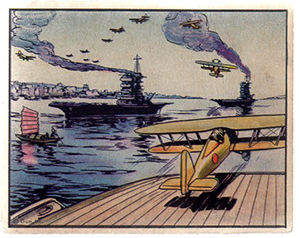 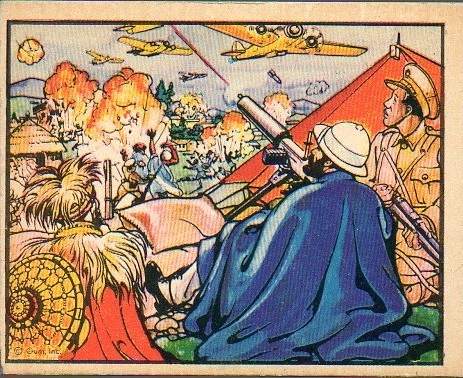 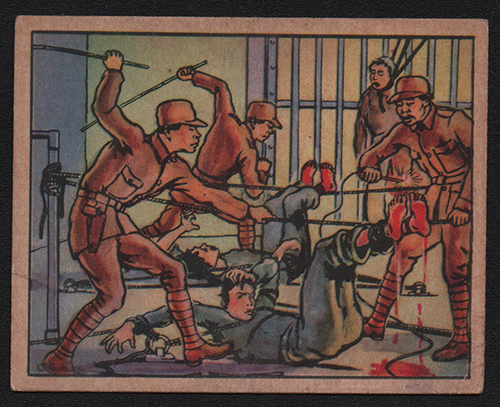 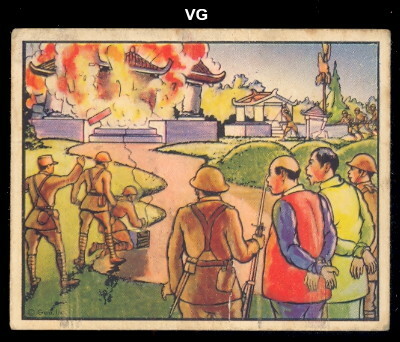 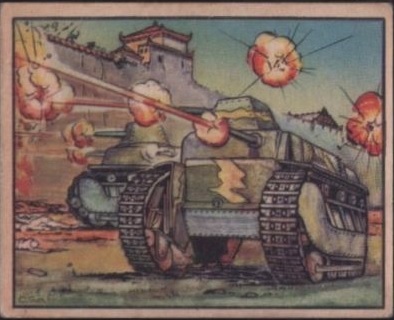 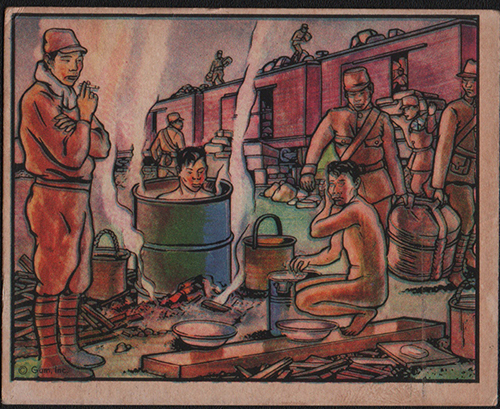 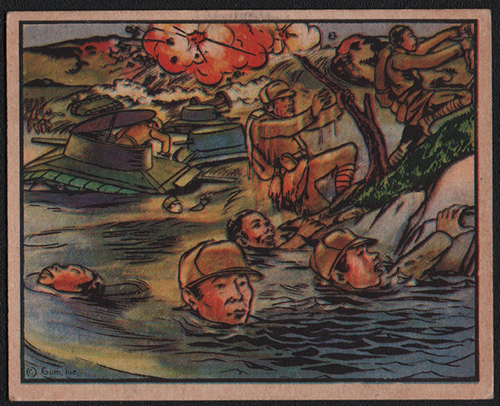 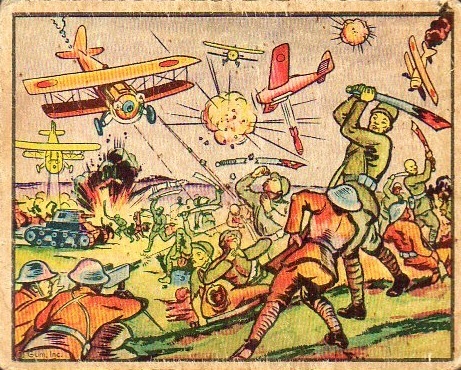 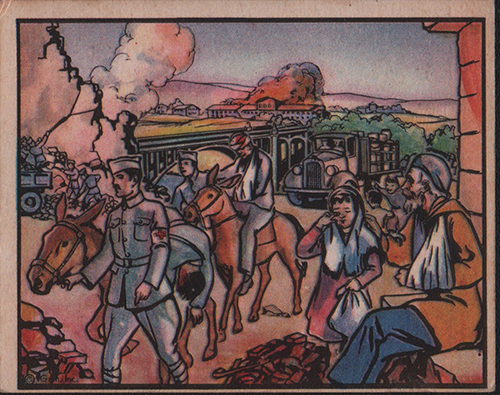 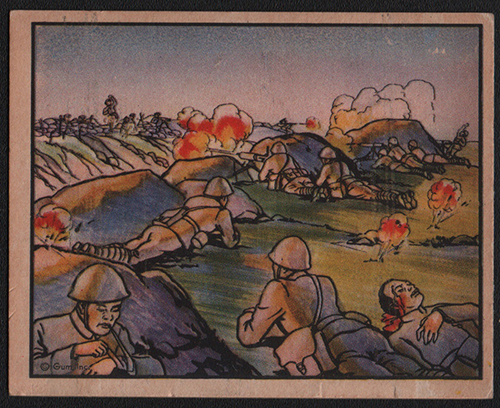 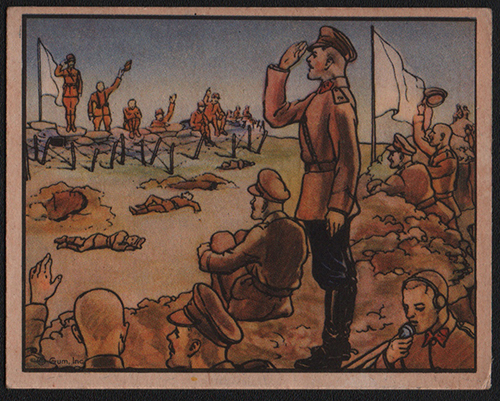 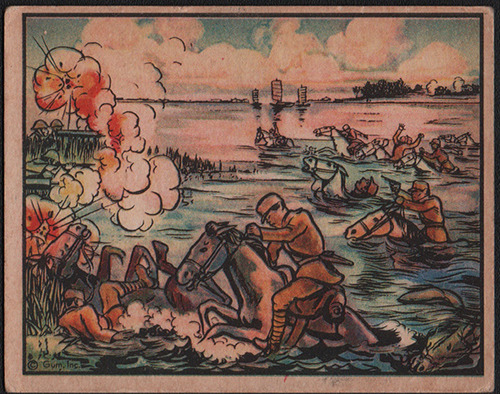 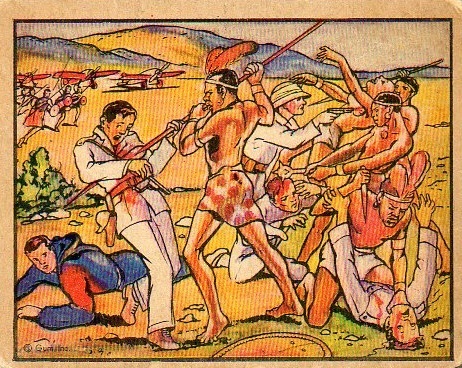 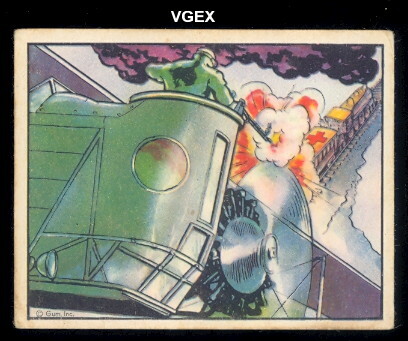 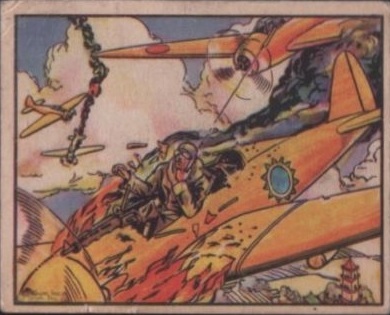 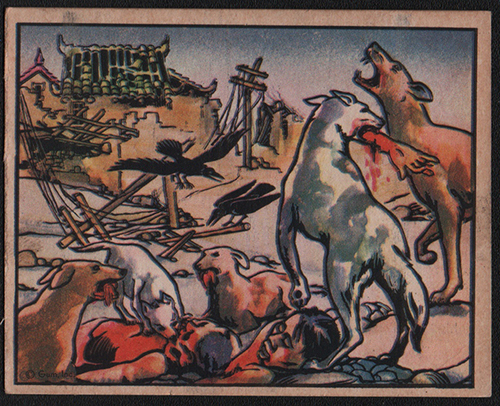 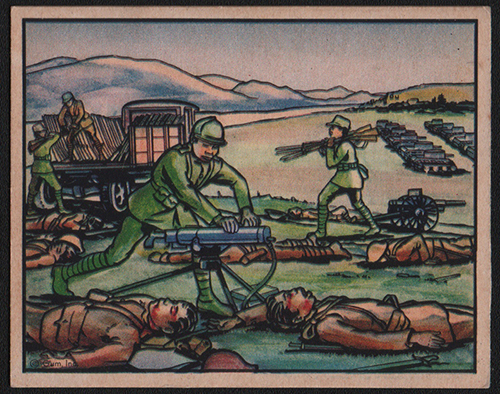 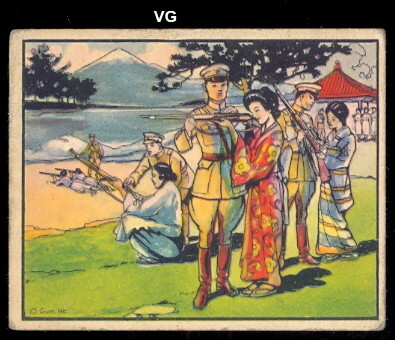 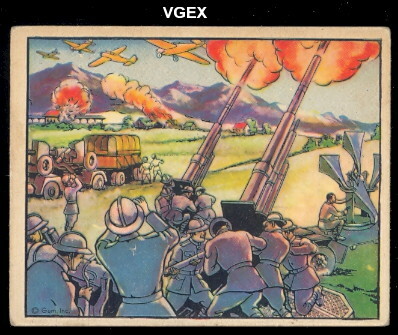 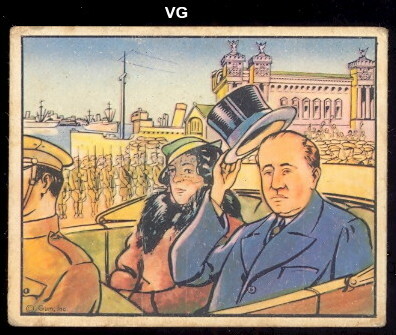 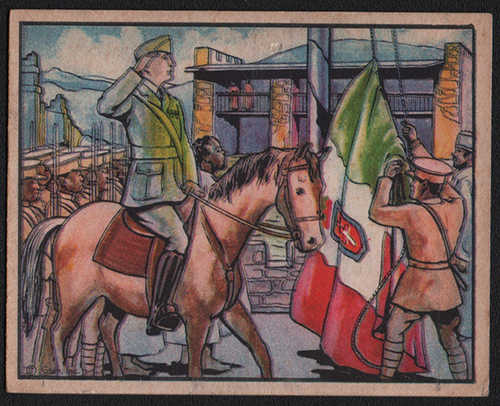 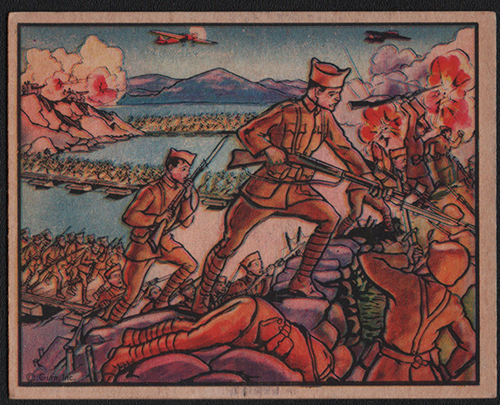 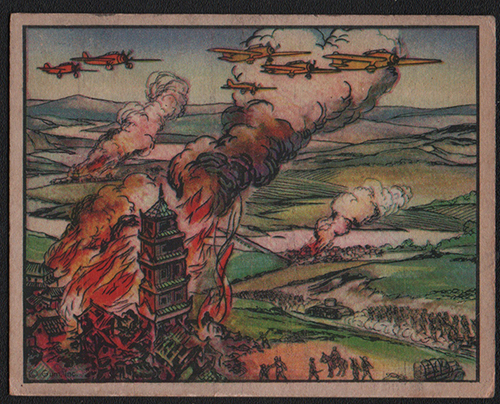 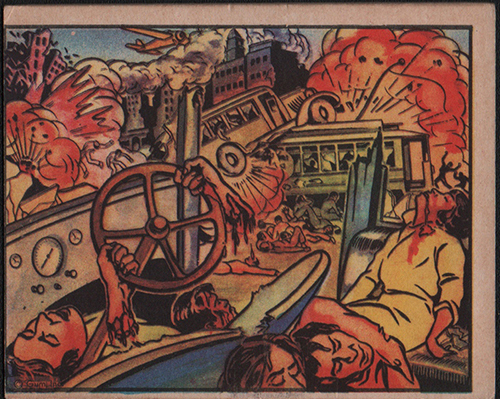 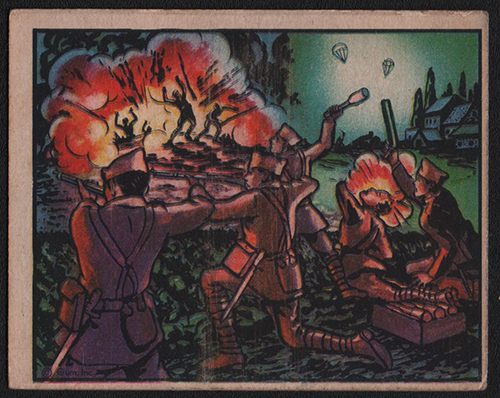 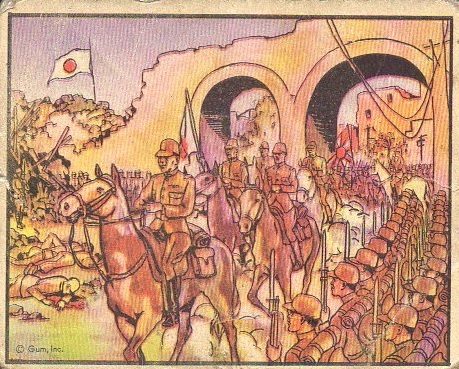 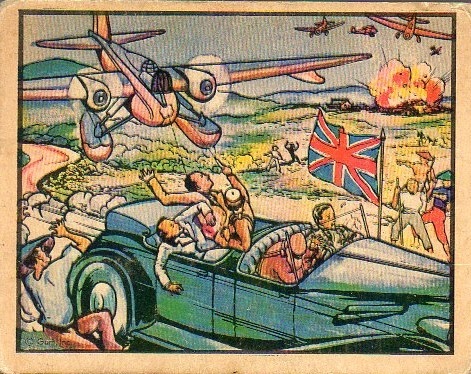 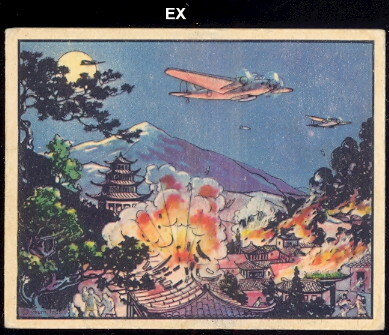 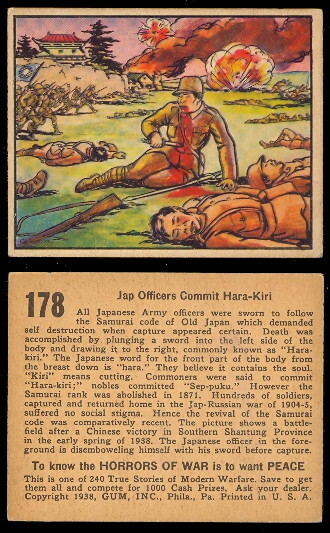 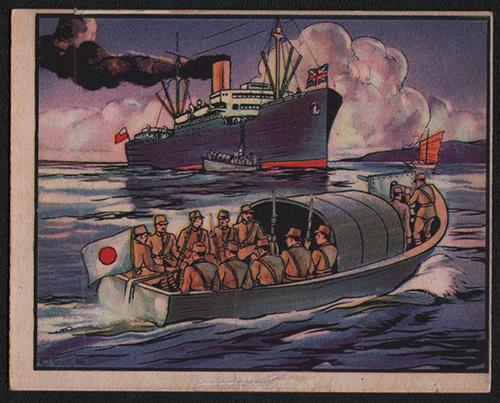 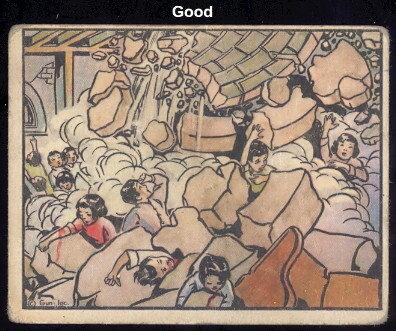 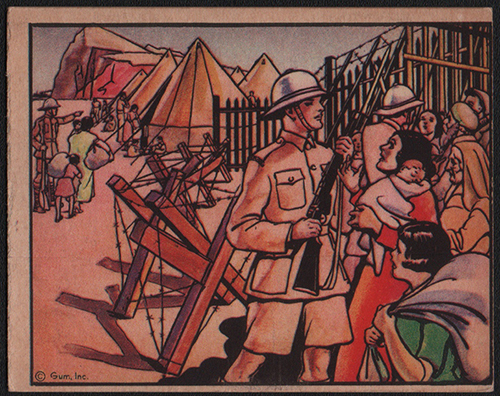 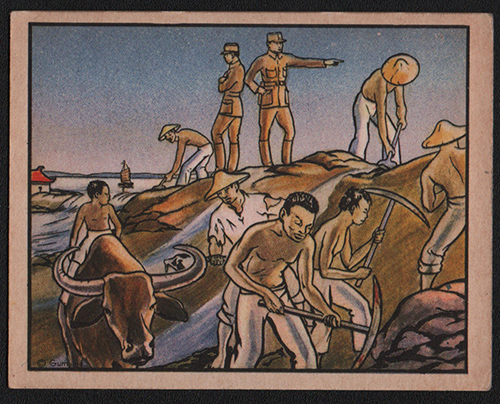 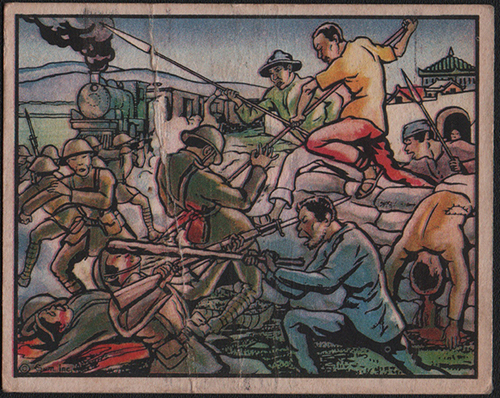 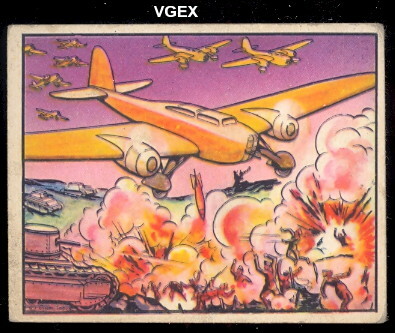 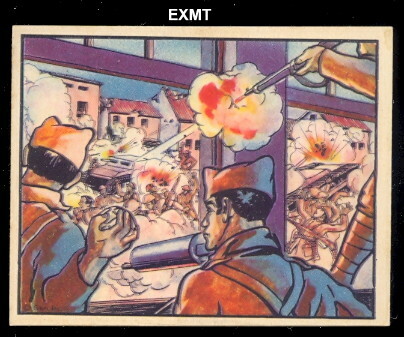 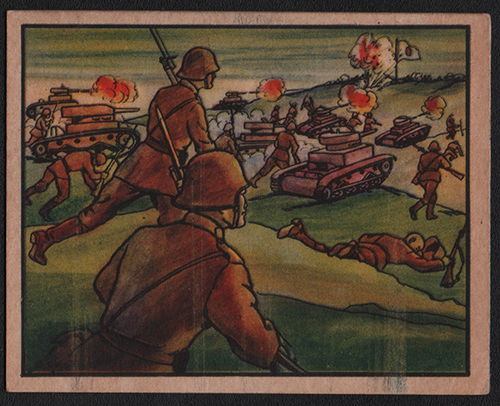 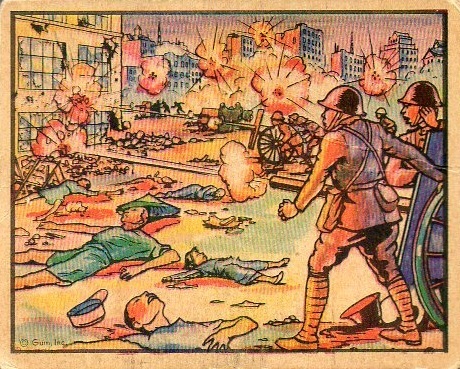 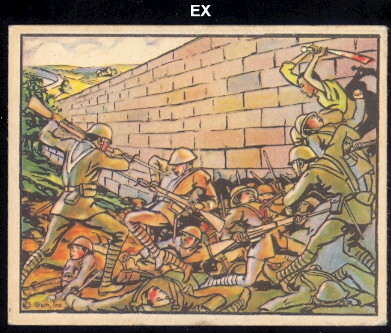 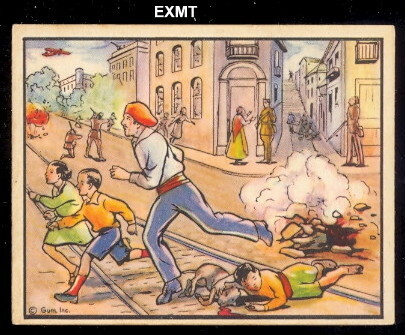 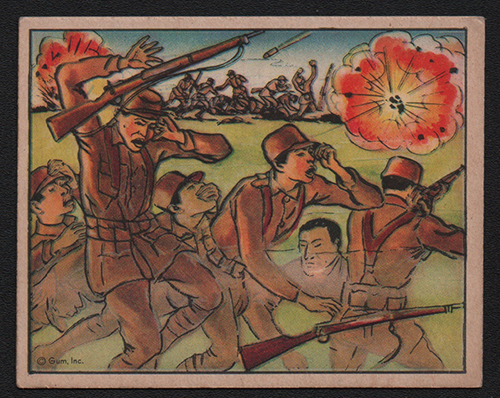 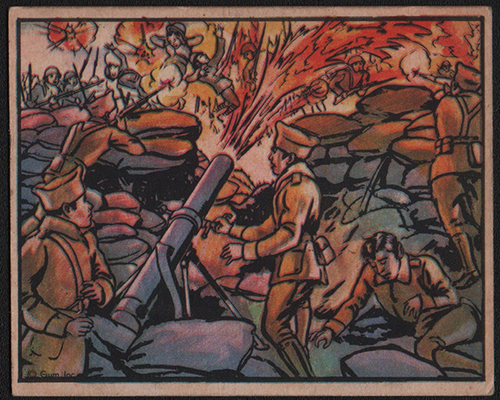 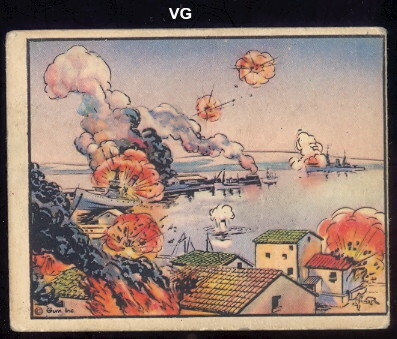 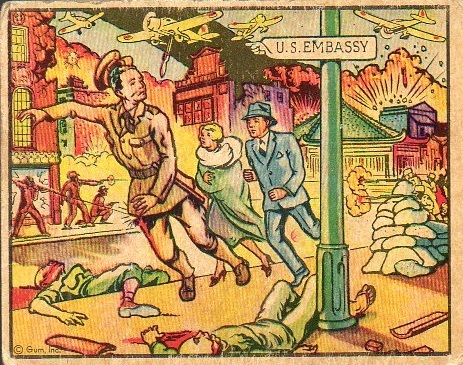 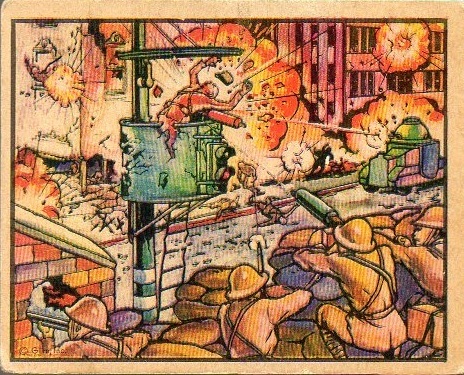 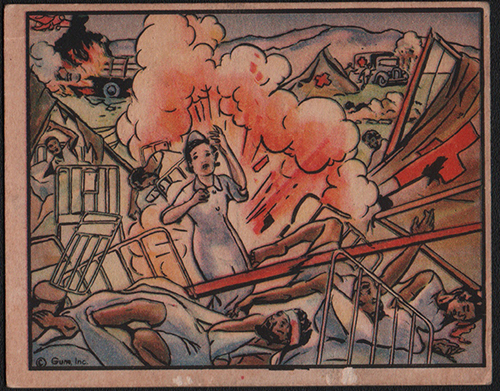 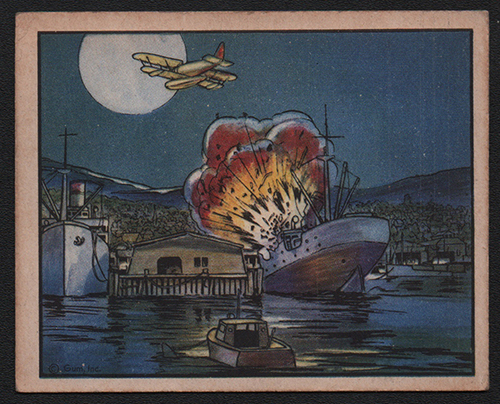 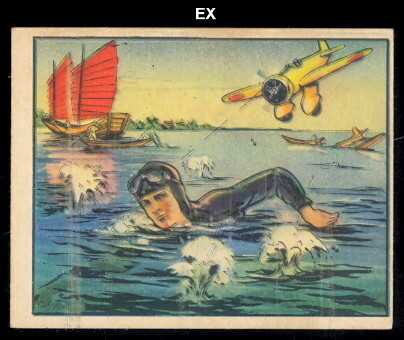 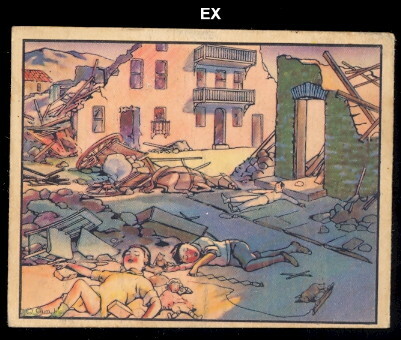 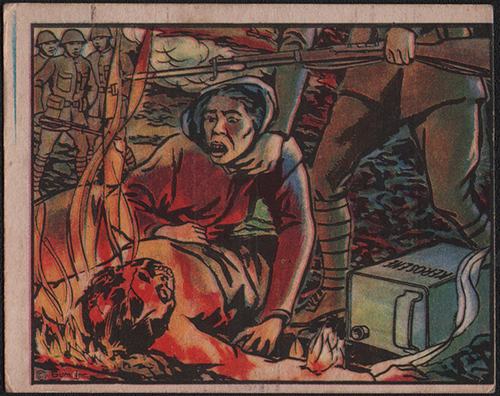 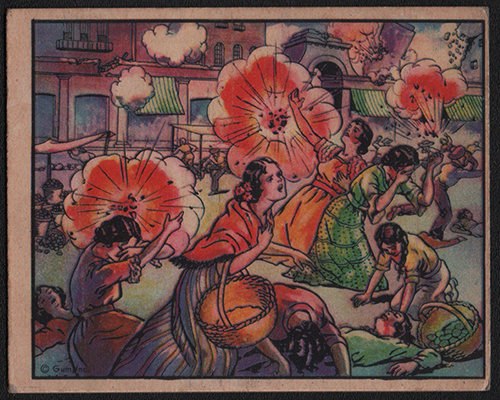 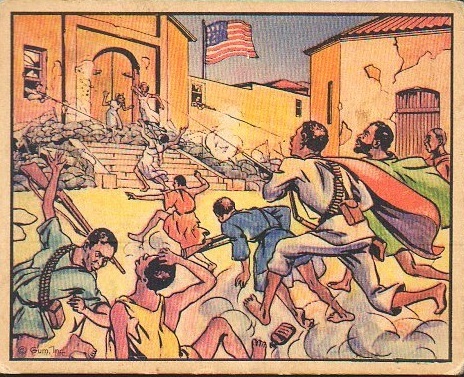 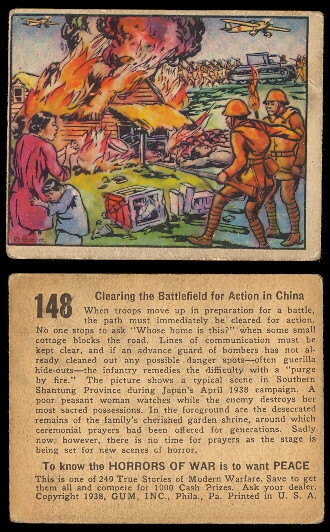 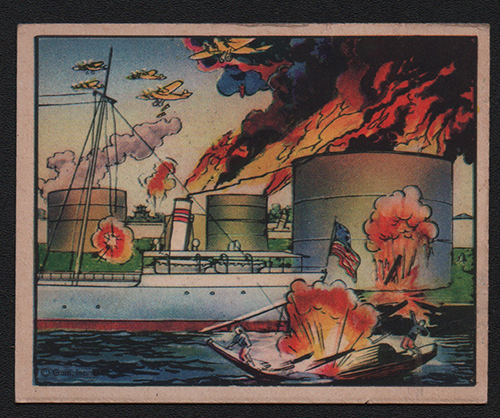 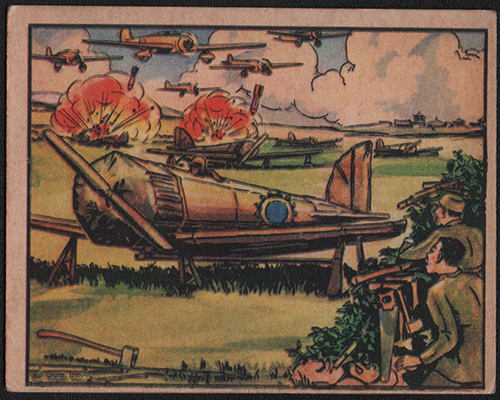 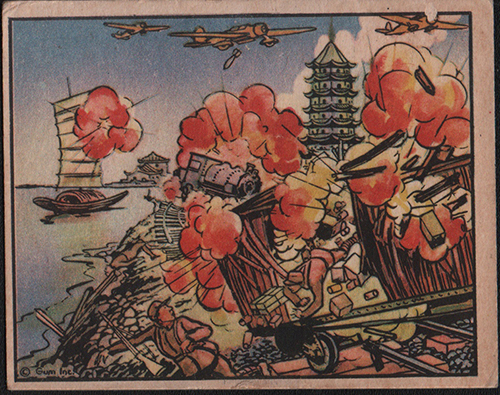 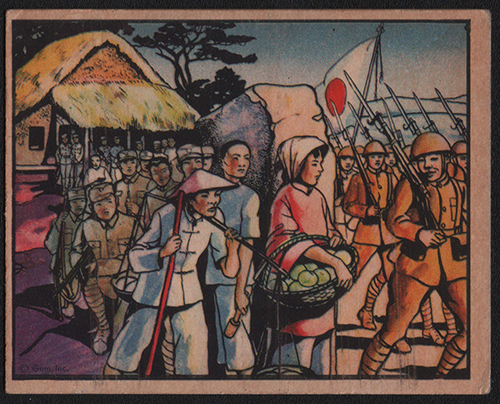 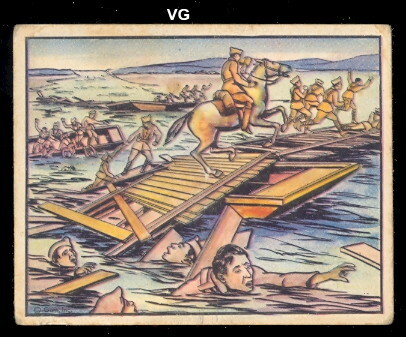 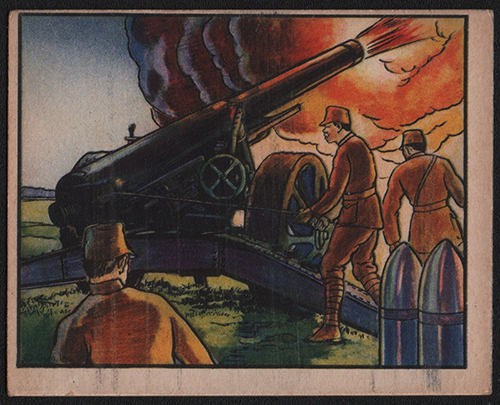 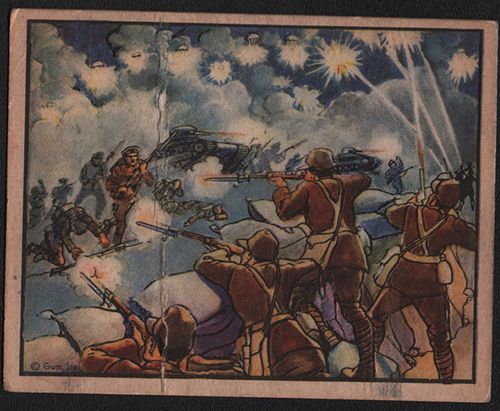 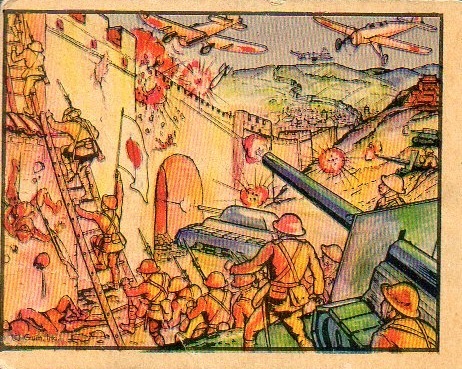 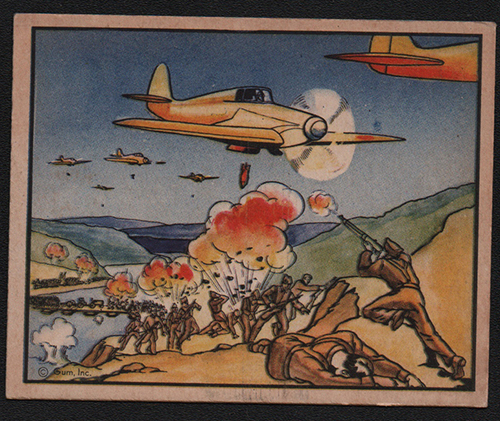 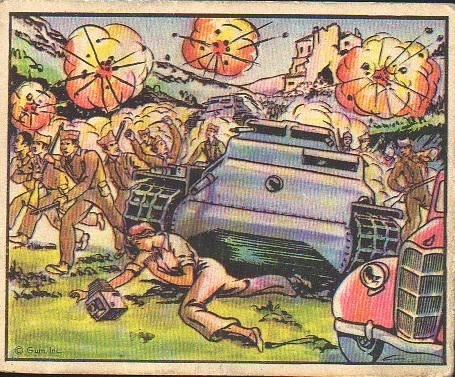 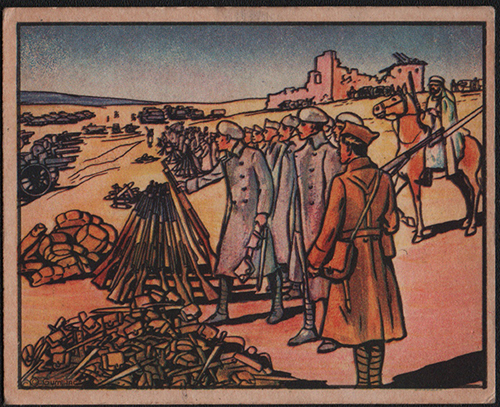 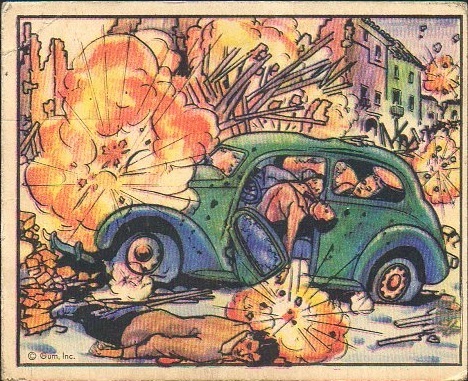 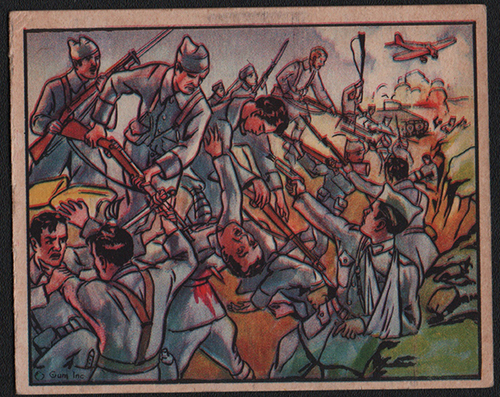 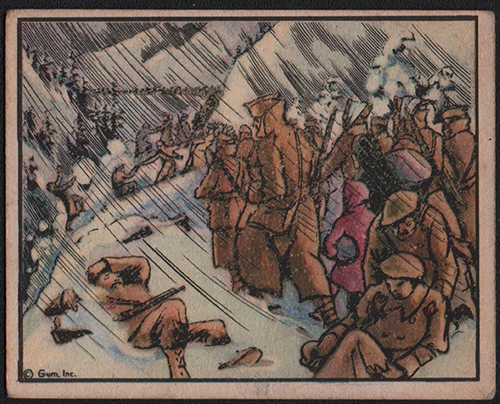 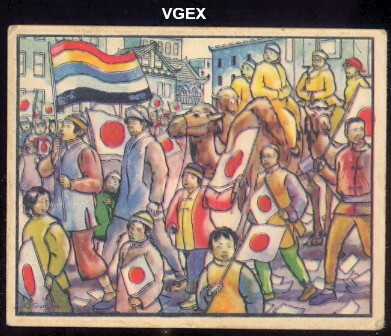 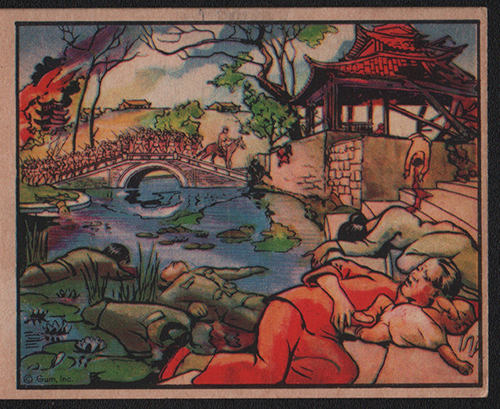 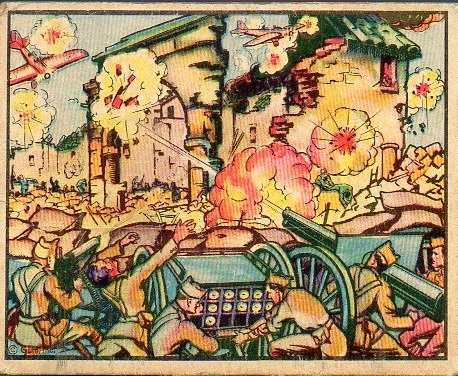 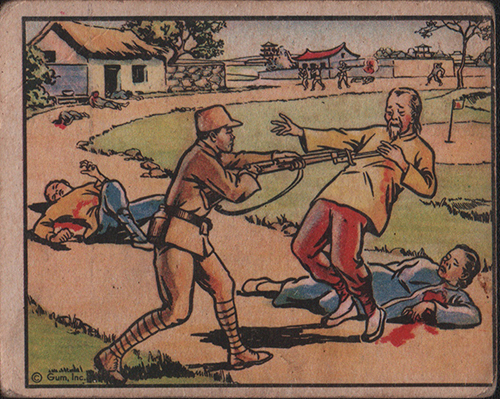 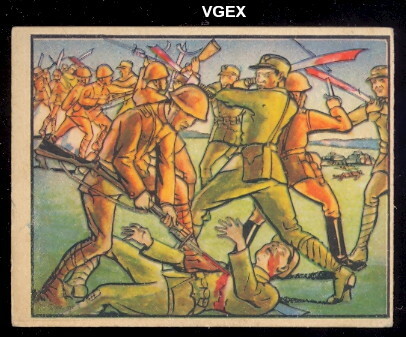 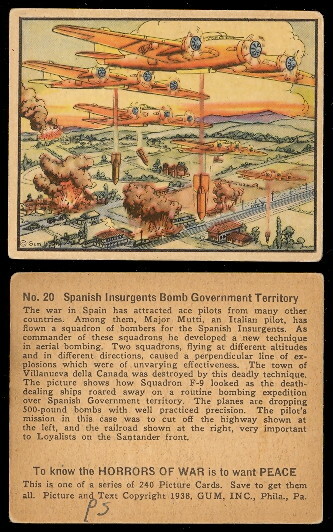 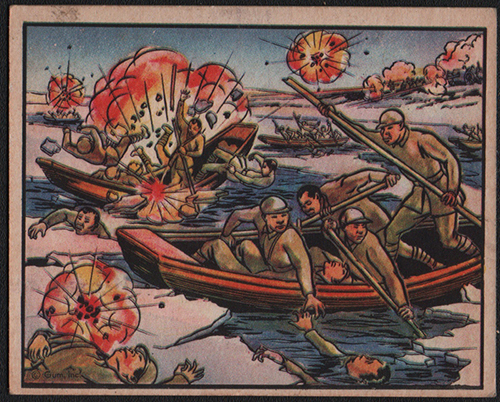 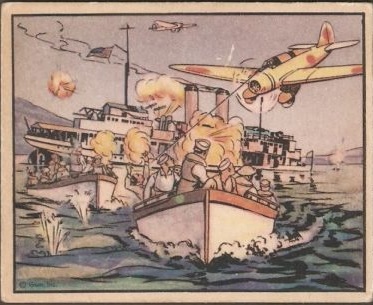 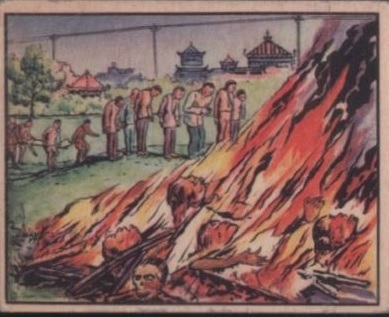 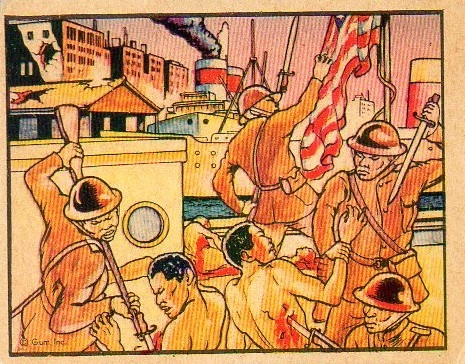 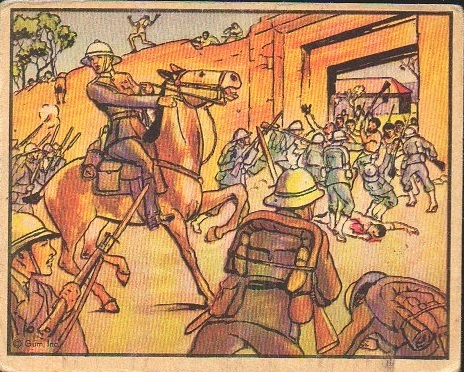 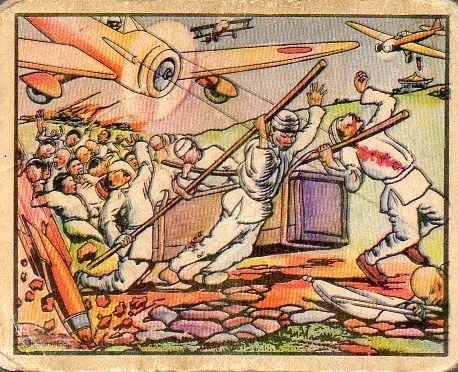 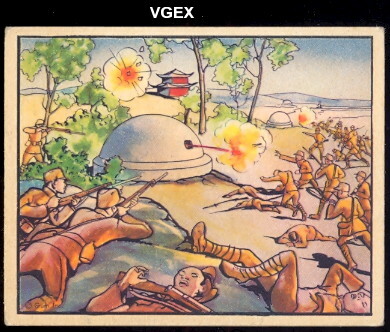 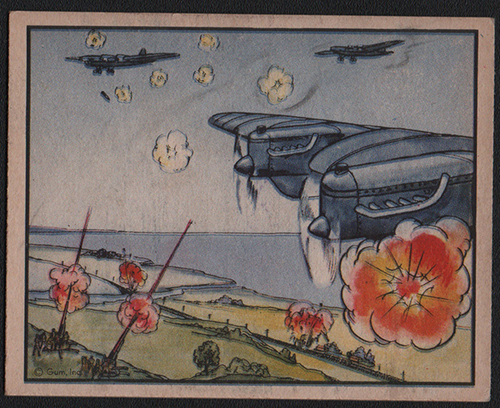 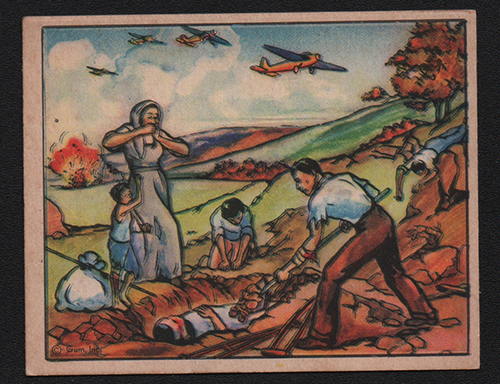 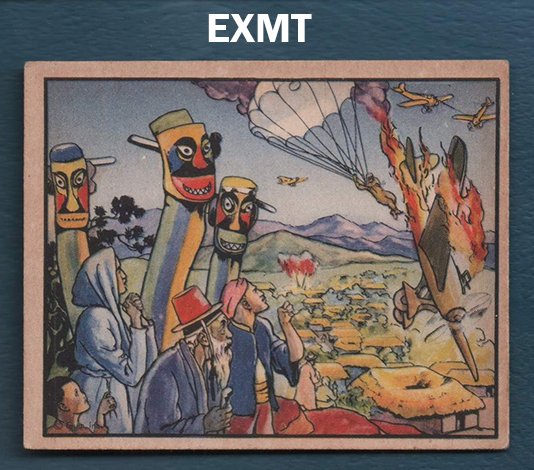 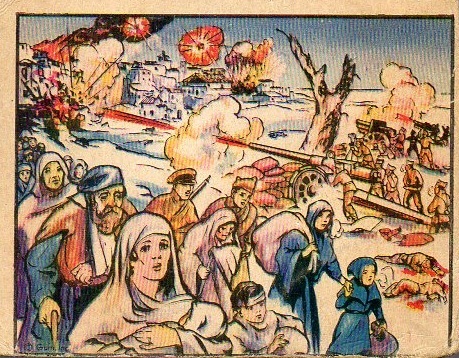 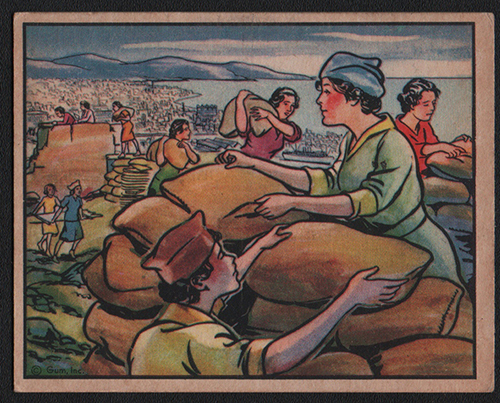 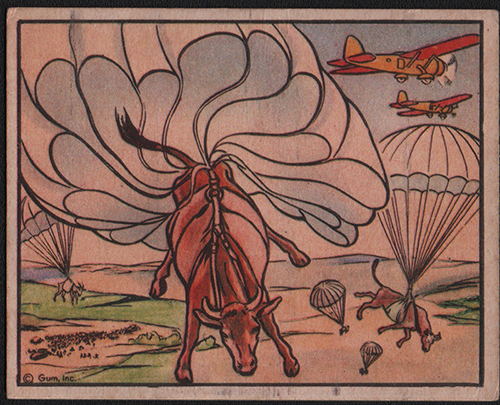 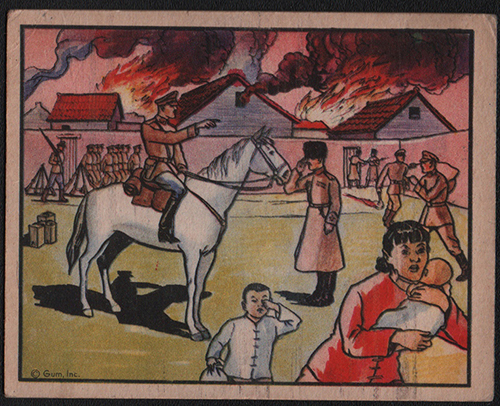 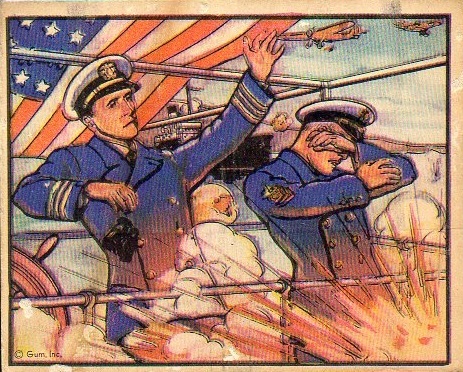 These cards feature graphic scenes from the Spanish Civil War, Ethiopian War, and the Chinese-Japanese war. 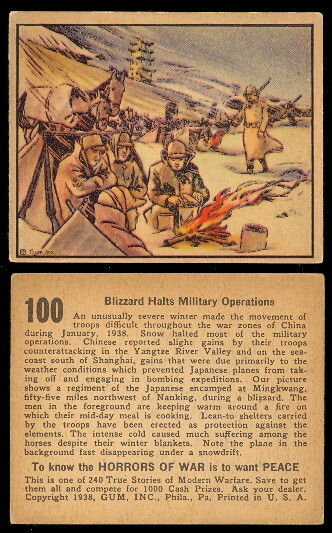 The cards measure 3-1/8" by 2-1/2" in size. 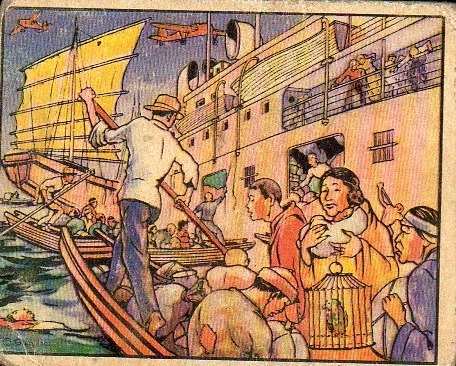 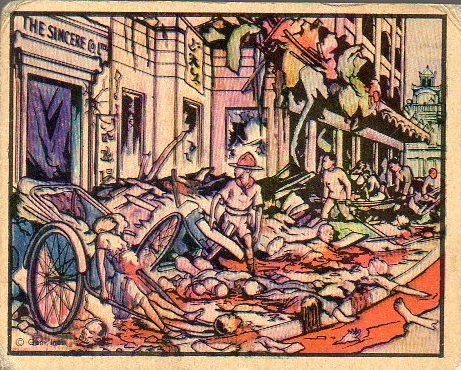 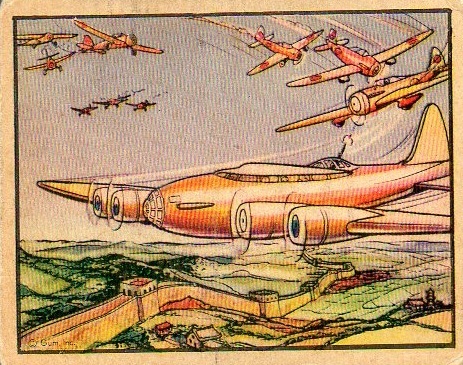 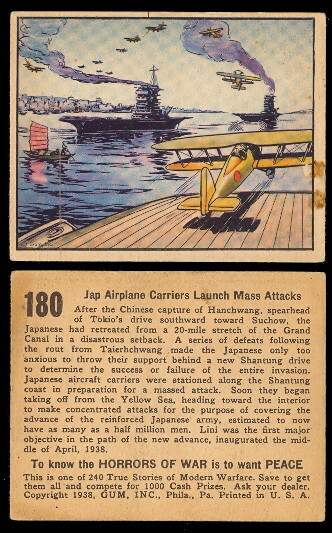 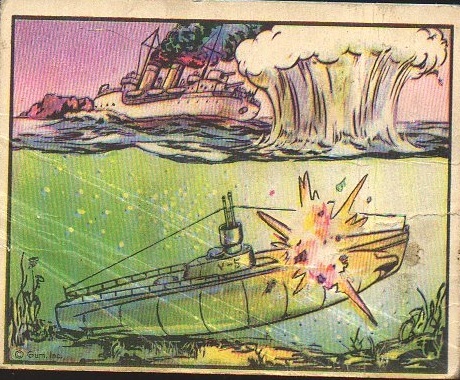 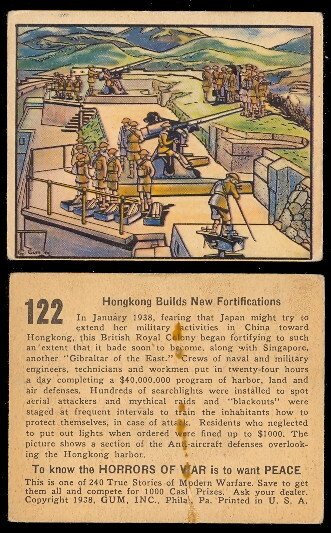 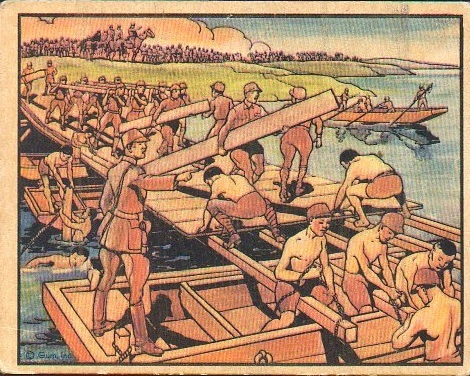 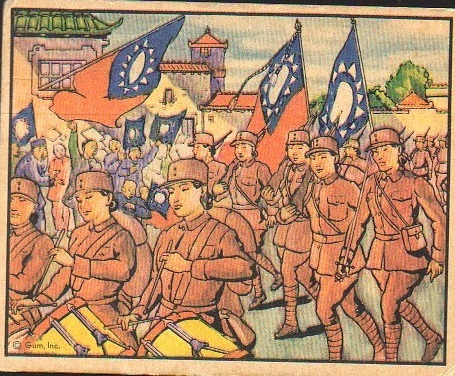 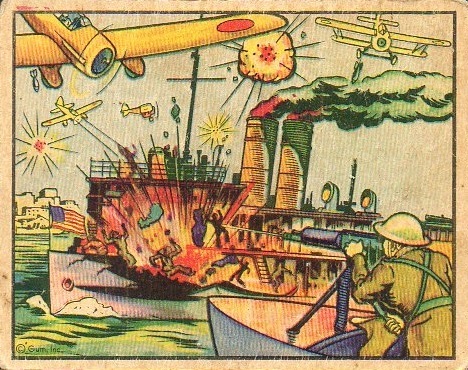 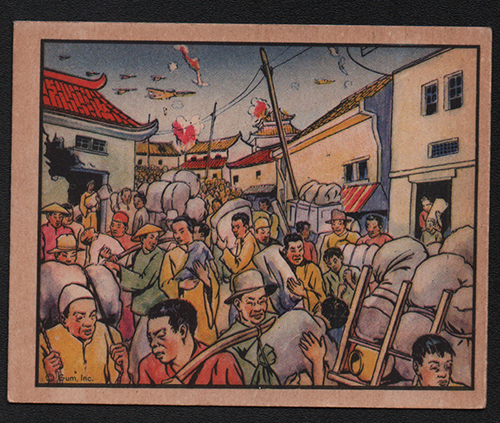 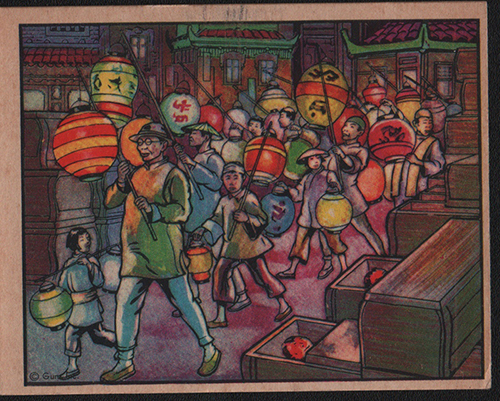 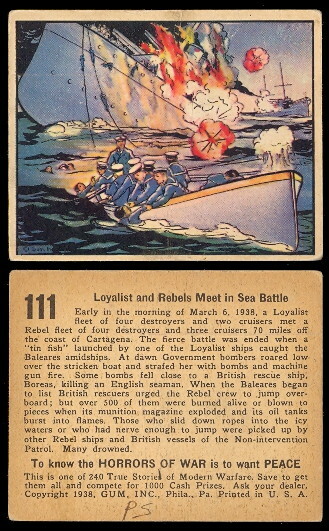 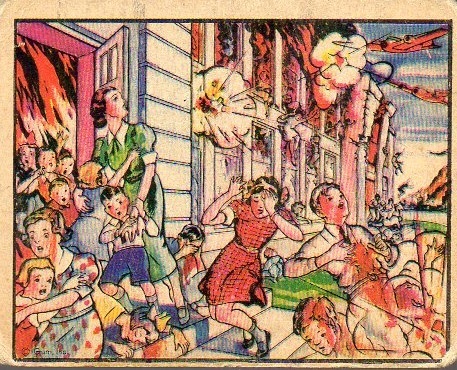 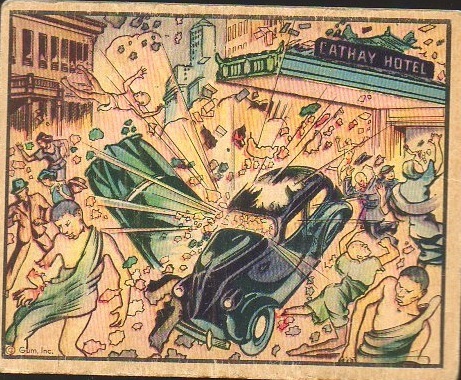 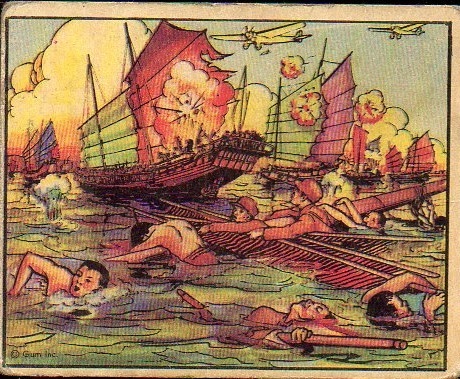 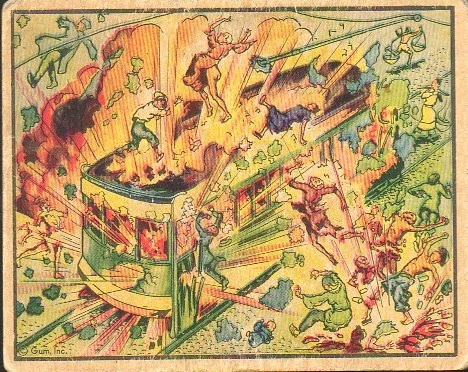 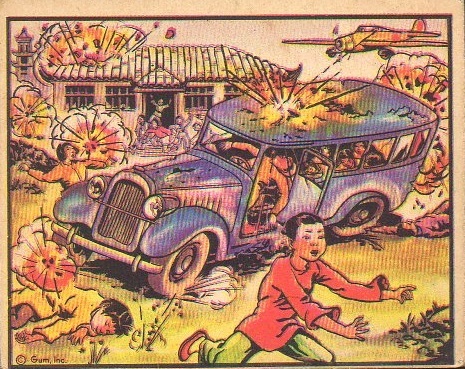 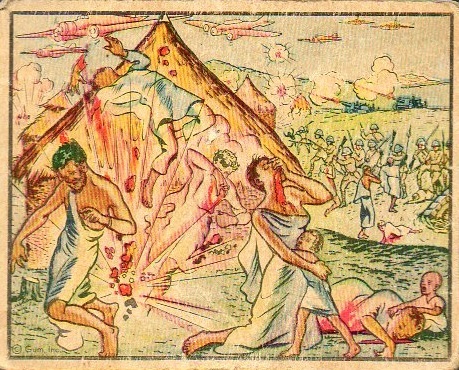 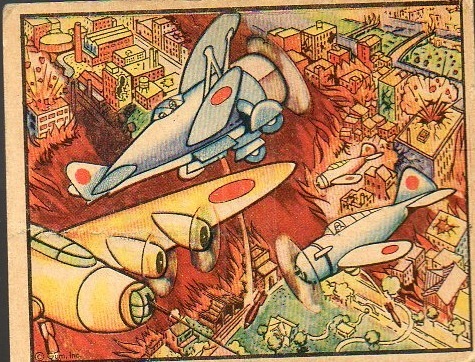 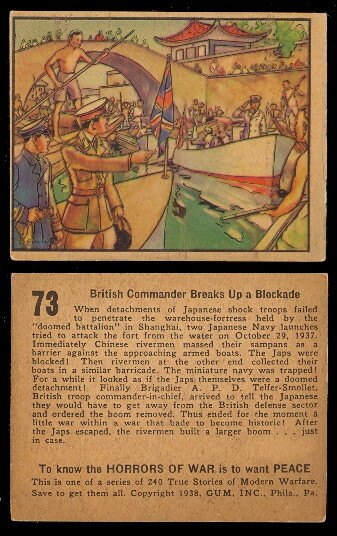 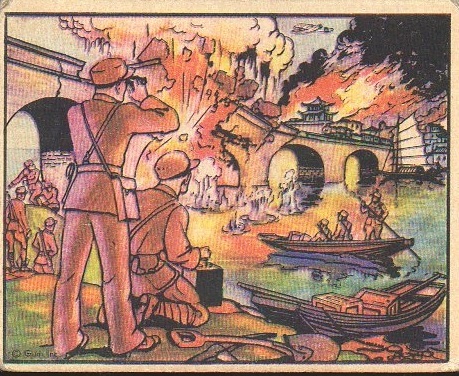 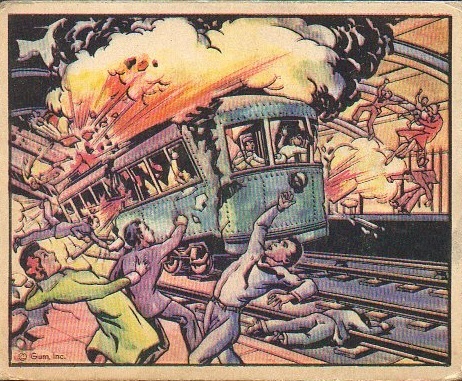 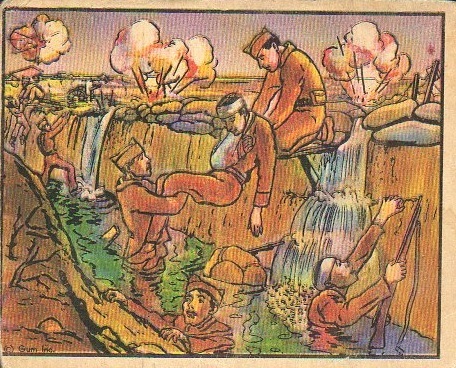 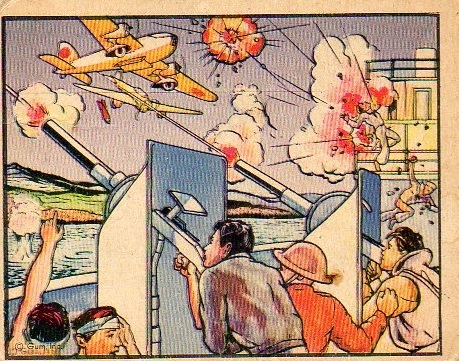 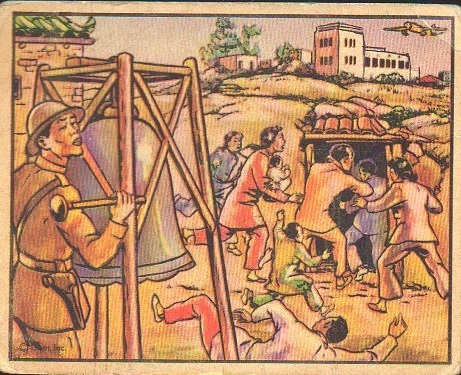 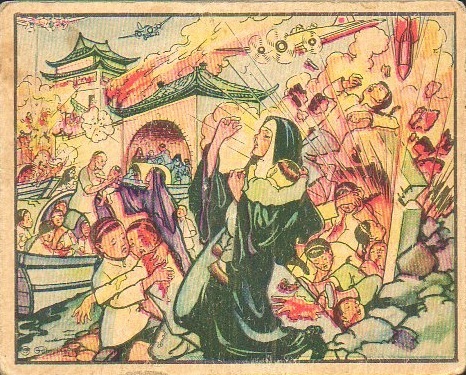 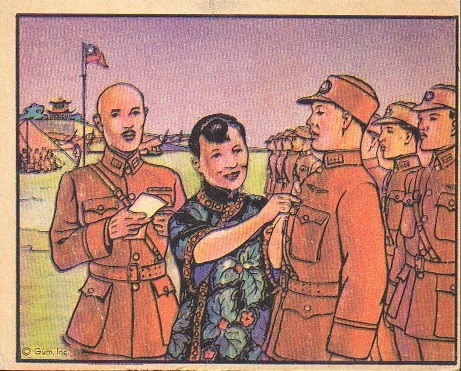 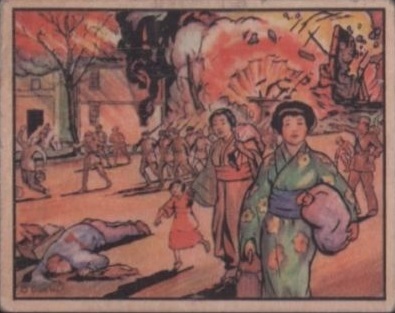 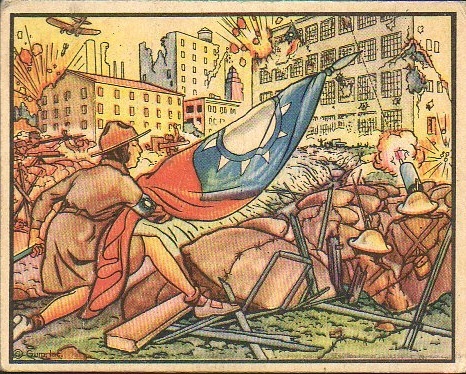 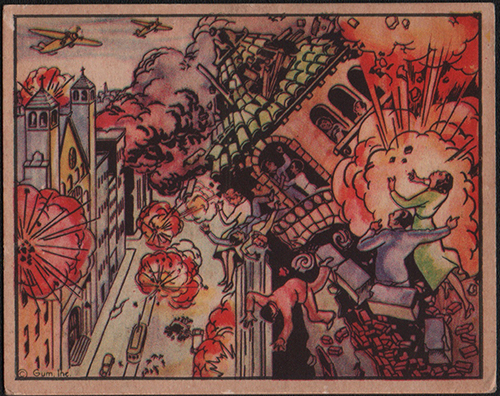 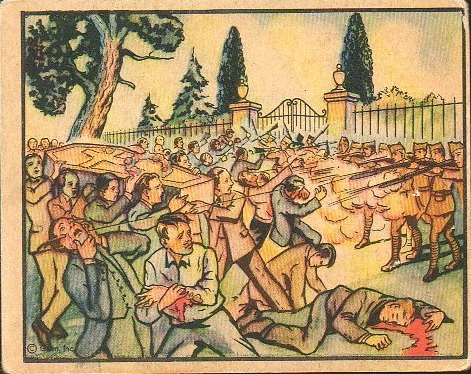 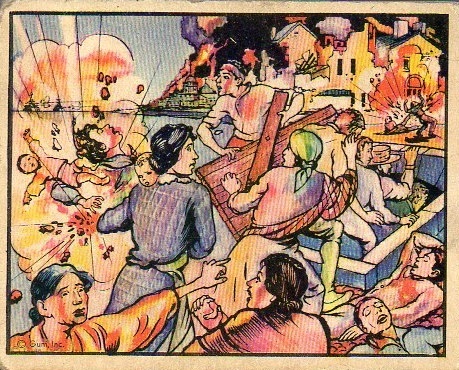 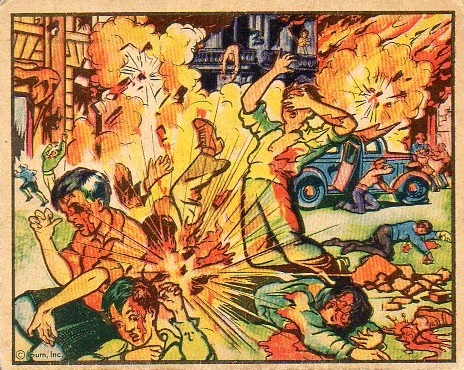 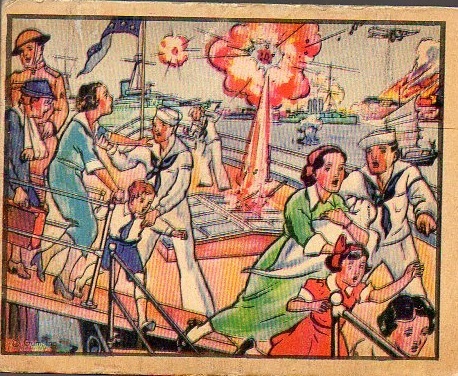 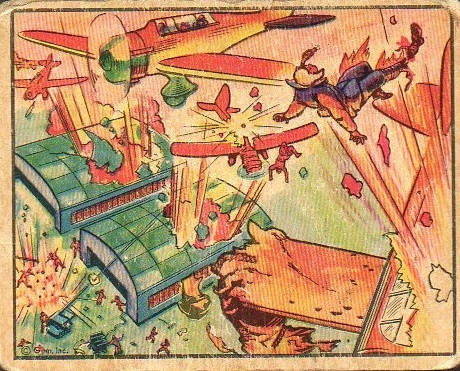 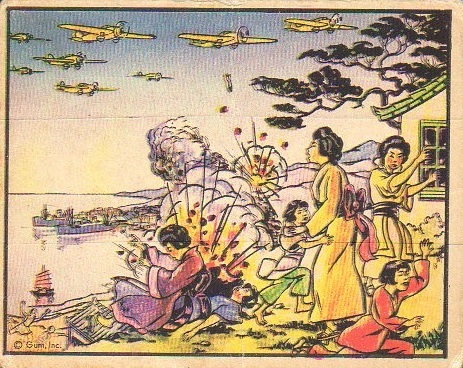 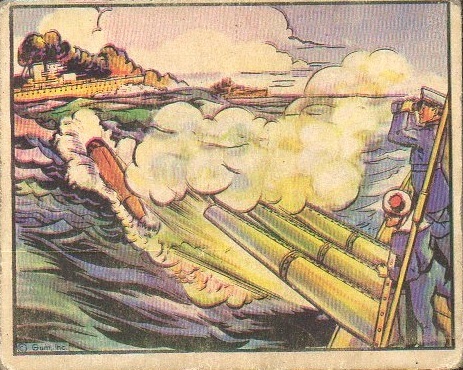 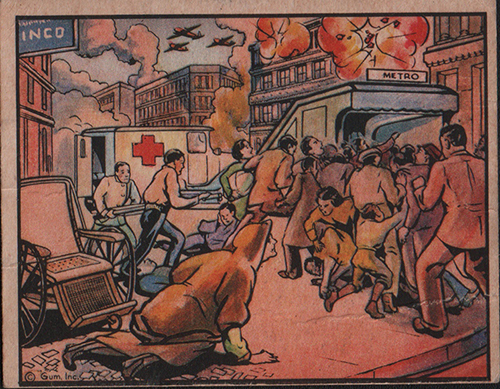 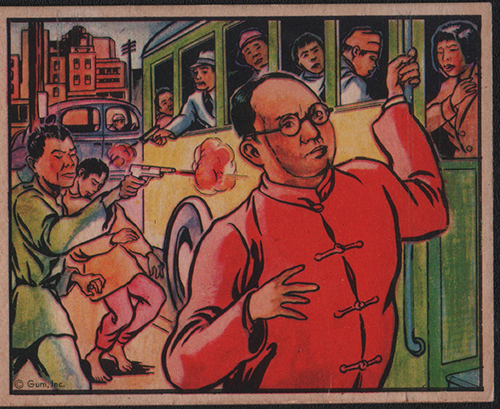 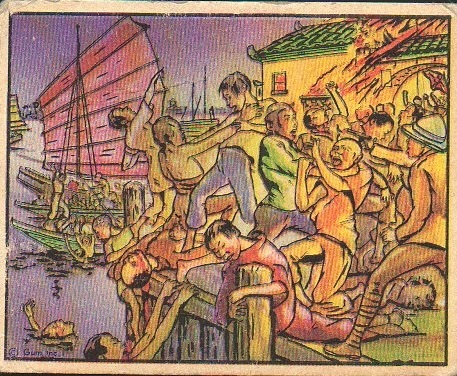 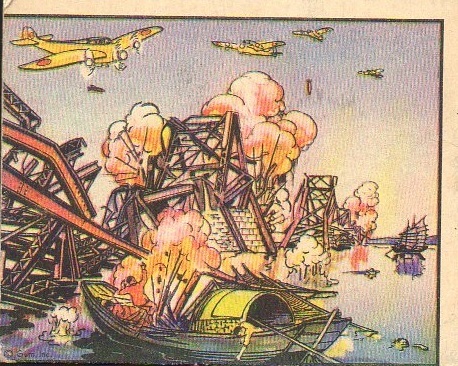 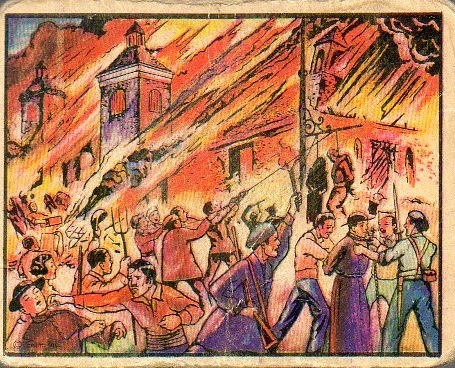 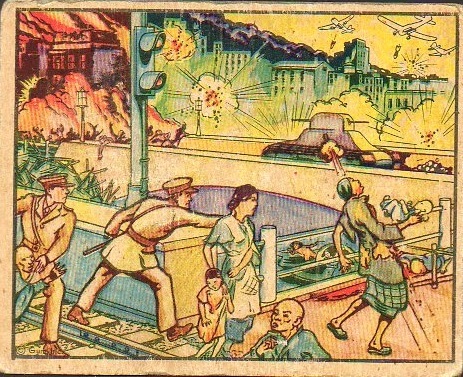 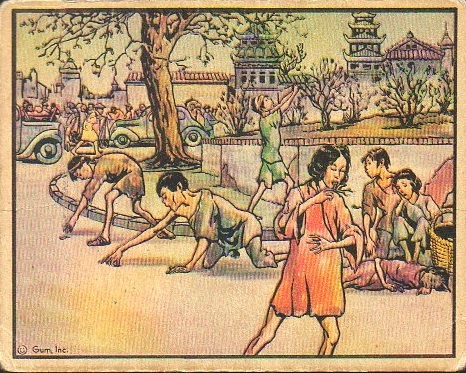 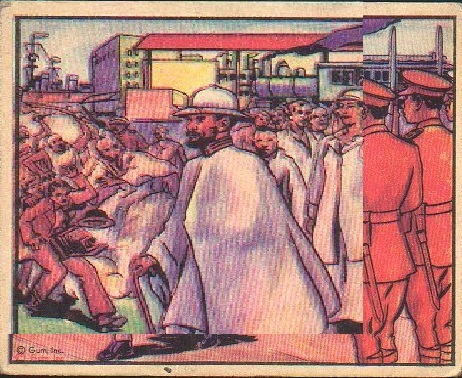 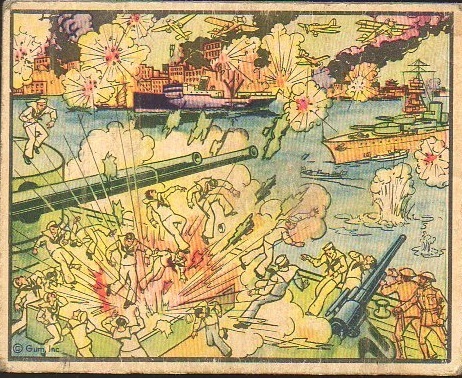 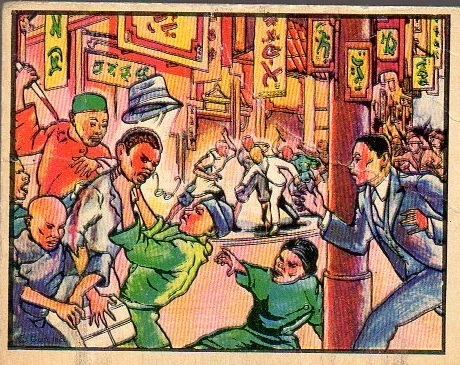 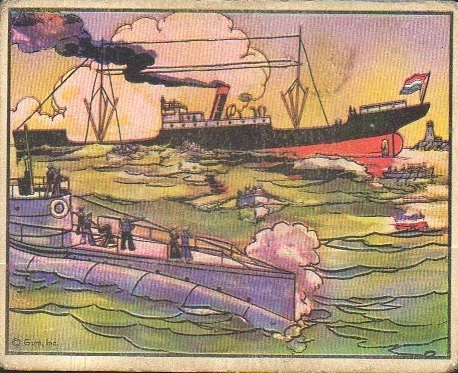 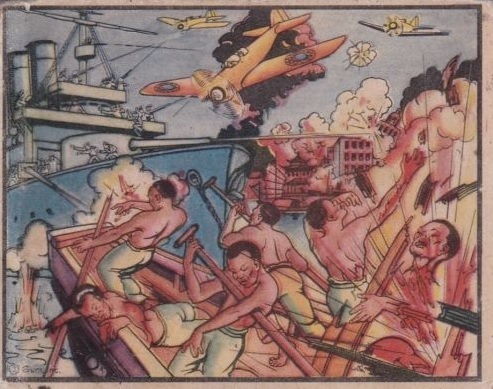 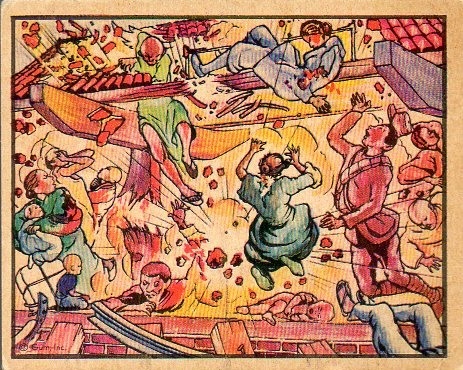 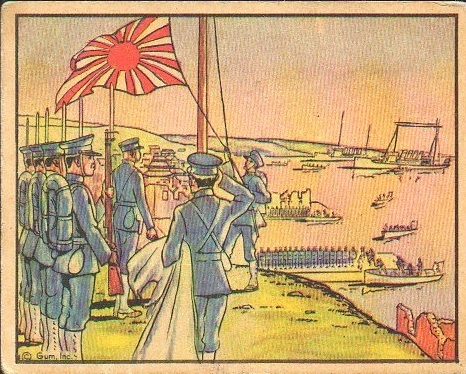 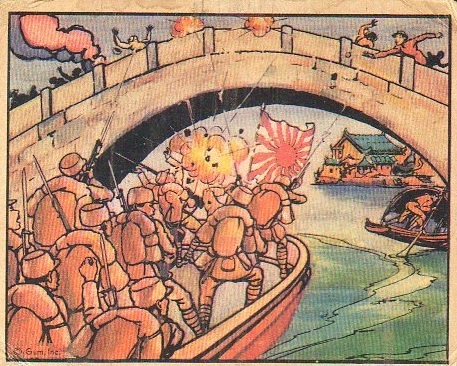 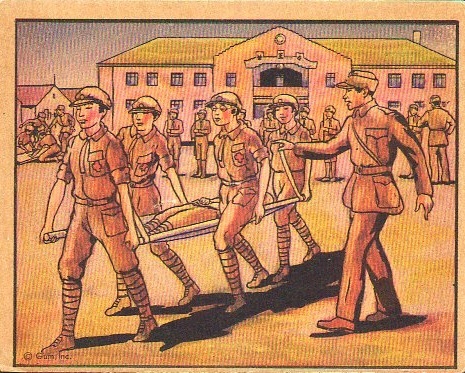 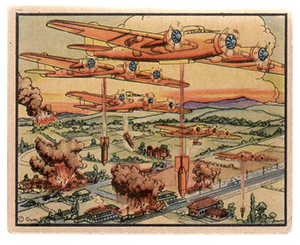 The fronts are full color drawings and the backs have descriptions of the events pictured.